Voidshaper has put together a pretty good looking Dralthi with digital Lego tools. 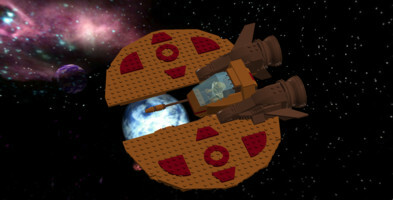 Wing Commander fans have a long history of building some slick Lego spacecraft, which is impressive given the limitations of the building blocks available. 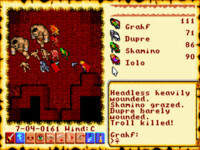 Dralthi fighters are one of the most popular creations. 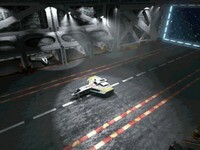 Renders like these make you wish there was a Lego Wing Commander game! Attempted to build a minifig-able Dralthi. The stubby cabin is tricky. 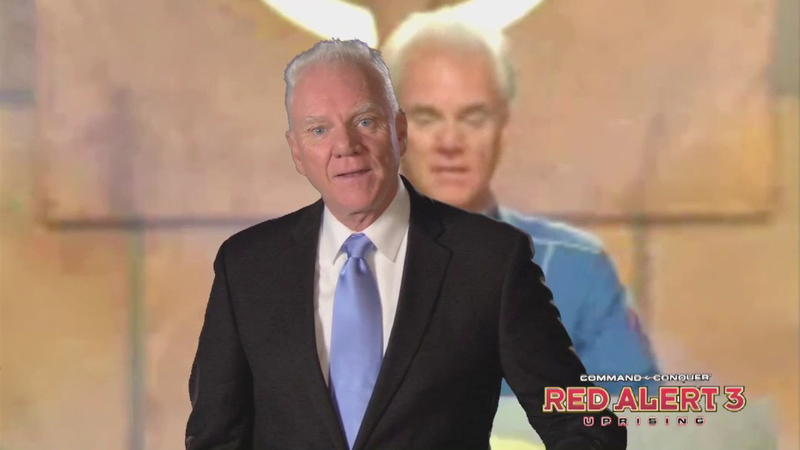 CGMagazine's Kate Richards recently posted a piece about celebrity actors in videogames. From Norris to Spacey: Celebs in Video Games touches on voice acting, the full motion video craze of the 1990s, and finally the shift to motion captured animation. Check it out here. 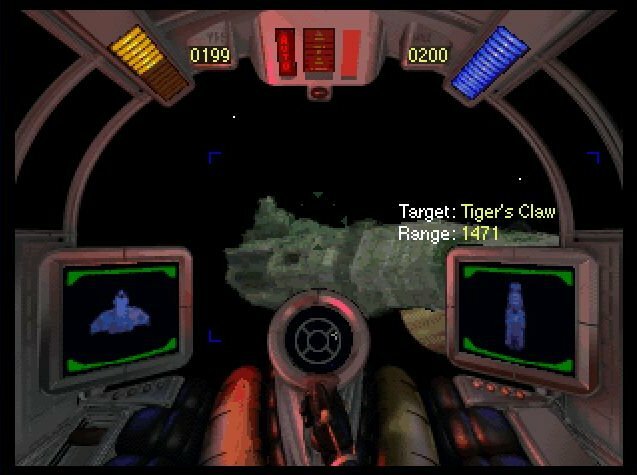 Then there's fighting your way through space on the TCS Lexington in Wing Commander IV, between cut scenes of once-retired Colonel Blair (Mark Hamill)'s attempt to find and destroy the threats arising on the Border Worlds. 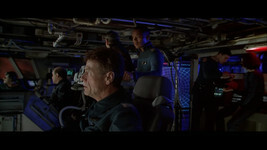 Blair should consider himself lucky that Admiral Tolwyn (Malcolm McDowell) called him back to the military. His plan to become a farmer on a desert planet probably wasn't working out too well. WCIV's cut scenes account for nearly two full hours of celebrity-stuffed, full motion video action. Amazing. The newest way to include celebrities in games is with motion capture and performance capture technology... This method not only features the voices of celebrity actors but the digitized movement of their bodies and facial expressions. Now celebrities can be fully active in video game cut scenes, like Hamill and Jones were in Wing Commander IV and Tiberian Sun, but act as the playable main character throughout the game as well with the digital capturing of their physical attributes and expressions. 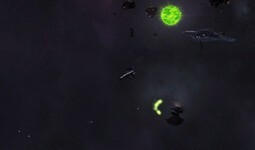 Klavs is back with a big new addition to the Terran arsenal. 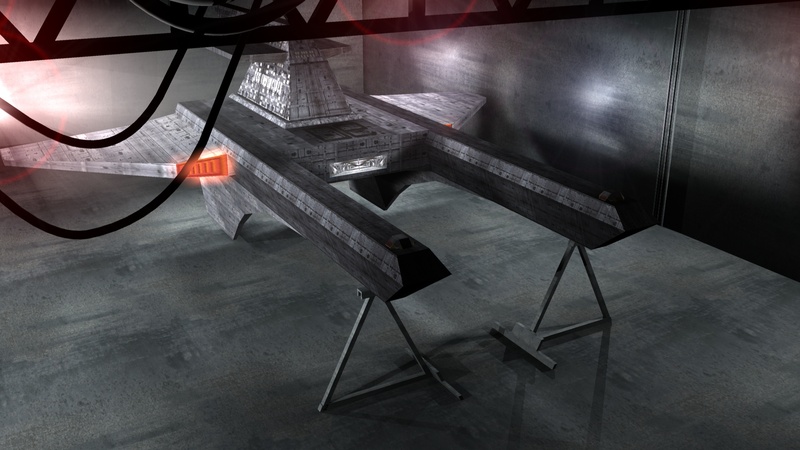 His fresh take on the Confederation class dreadnought smooths over some of the hard hull edge lines and fills in sections that were originally more tapered on his first Concordia render. The somewhat unnecessary full-length topside runways have been shortened to be more proportionate to the hangar deck, but key features like the forward radar tower and keel-forming phase transit cannon are just as prominent as ever. Hopefully there's some sharp green highlights coming in its near future! There's great news for Flat Universe fans! 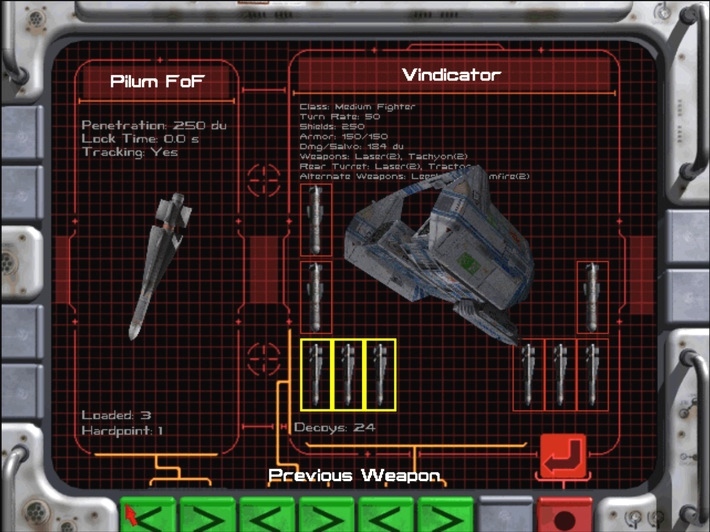 A new playable test of the top down Wing Commander shooter has been released with a ton of neat features. 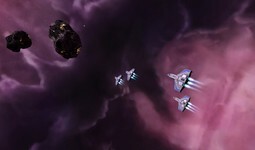 There are additional ships, animations, customizable missile loadouts and more. 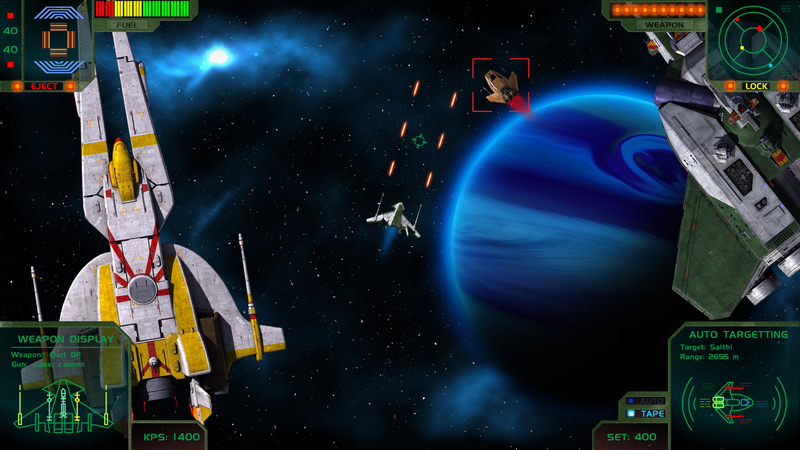 Pilots can also practice in free flight mode to get a better feel for the game. 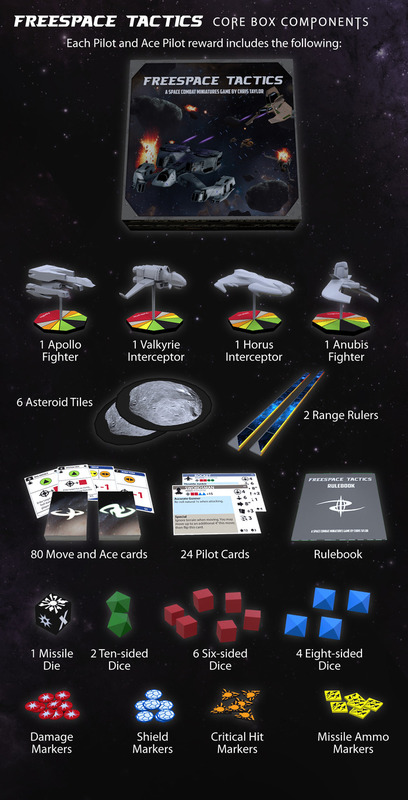 The accompanying reference card and ship schematics have been updated as well. 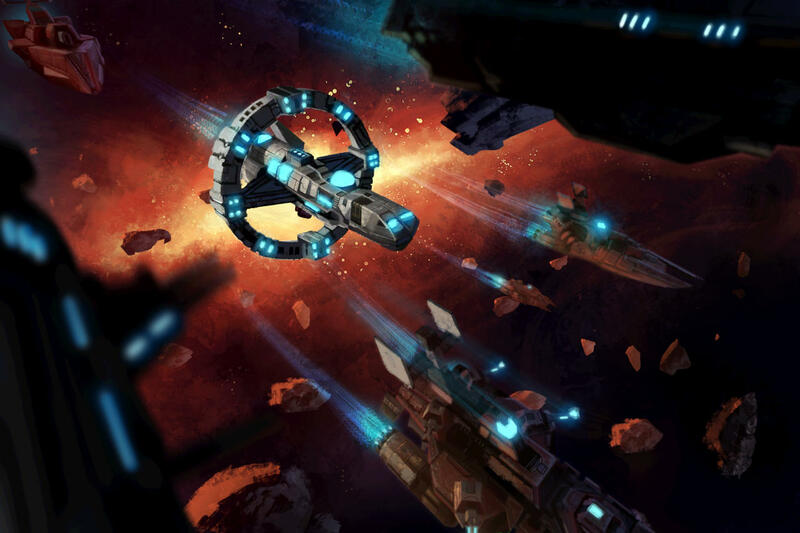 Load up Daedalus Station and scroll down to grab the game for Windows, Mac OS or Linux. Have fun and be sure to let the Maslas Brothers know what you think! New patching system. No more downloading and decompressing huge packages. 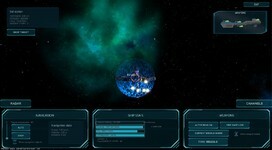 Just start Flat Universe and our server will update your copy with the latest version. 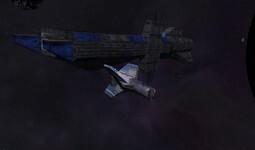 Two new exciting ships have been added: Raptor and a Shuttle. New animated Take Off sequences from Daedalus station. Fly around our spectacular home system, "Destiny", on a free flight mode. Now you can select your own missile loadout. 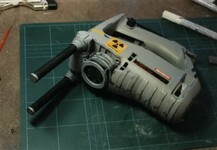 Missile Decoys are now available. No more extensive use of afterburner to avoid missiles. Finished turret AI. Now you can kill it before it kills you. A test flight will convince you. And as always, we need your feedback! Your opinion counts more than you can imagine. Have Fun!!! danr has put together a neat video that shows off some of the differences between pilots that played WC1&2 with and without expanded memory. In our modern world of DOS emulators and glide wrappers, carefully tuning a struggling PC to get the best experience is a bit of a lost art. Getting games properly running in the early '90s required a pretty good working knowledge of boot disks, conventional memory optimization, loading device drivers into extended memory, taking advantage expanded memory and more. And the rewards for a good setup were great! 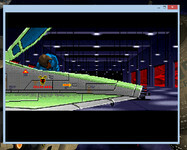 Full EMS usage enabled things like the moving hand on joystick, cockpit damage, faces for the communication VDU, richer explosions and WC2's speech. 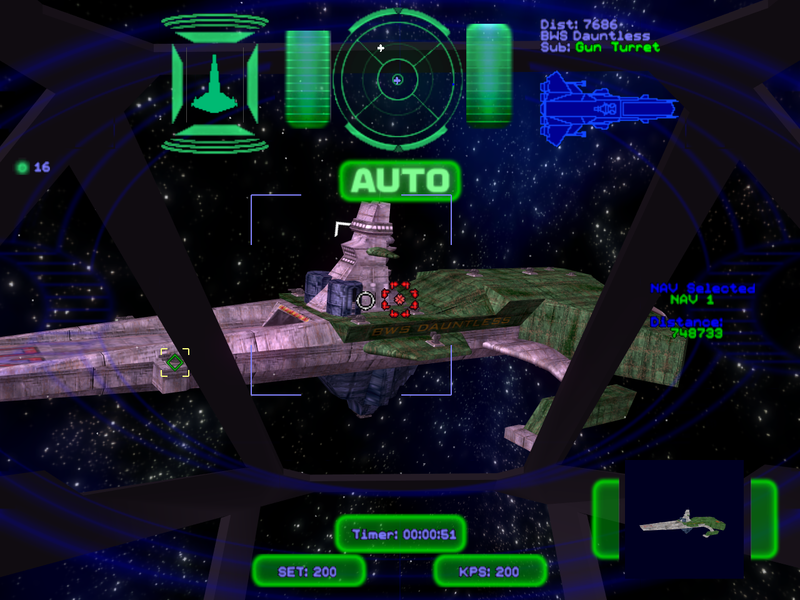 Wing Commander Academy actually required EMS just to run, but by later games, simply having the necessary amount of extended memory RAM was sufficient - until Prophecy introduced hardware acceleration modes. Going to be making a few WC1 related videos for the anniversary, since I've not done this much before, figured I'd test out the software and my microphone with this oddball curiosity video. 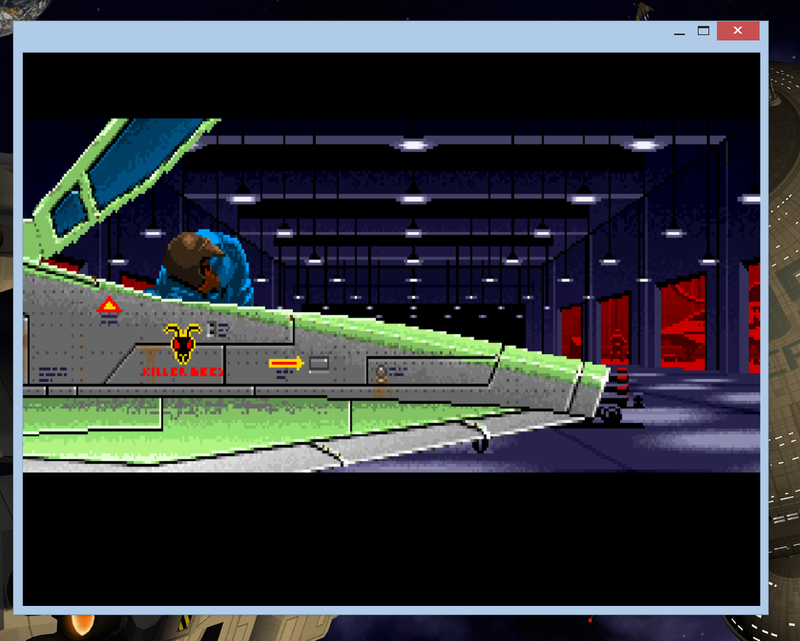 Inspired by a thread from earlier this week, this one's aimed mostly at the kids that don't remember seeing Wing Commander in low memory environment, or even in EGA. 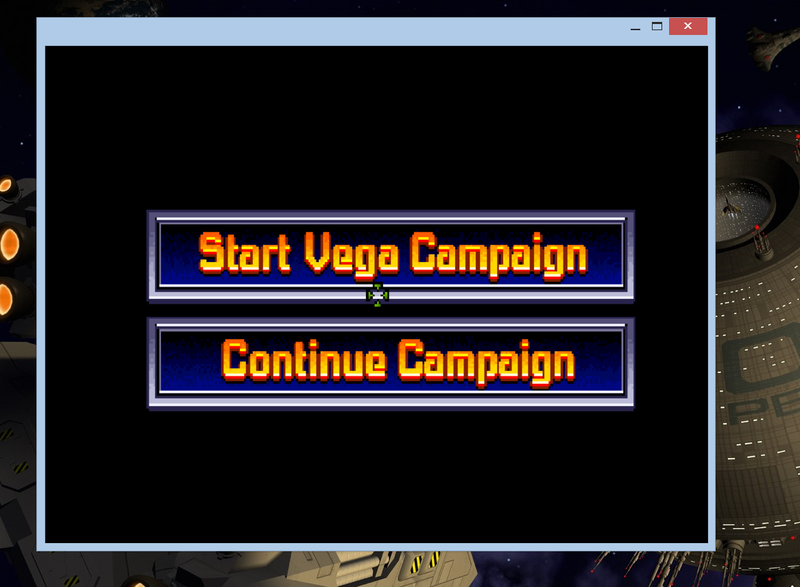 The music I've used is from the Amiga version. 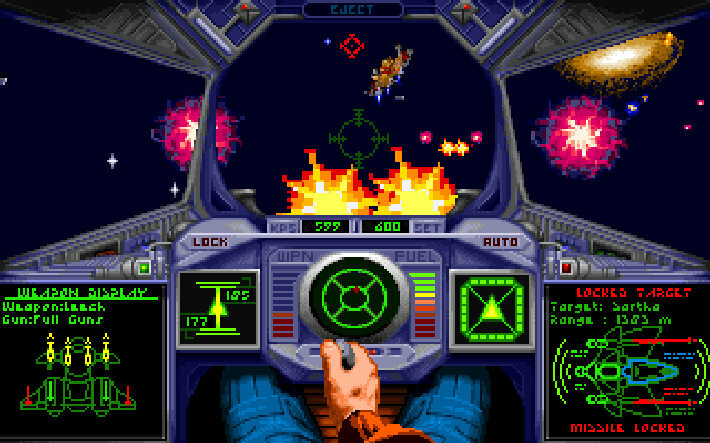 In the latest update on the status of his massive Wing Commander RPG Wiki, capi3101 has laid out the plan for the year ahead. Work continues to round out the "stat blocks" for members of the Kilrathi Demon's Eye Pack that will appear in the Elegy of Sivar expansion. This comes after the successful completion of most character histories. capi is also trying to gauge feedback to see what kind of accompanying art fans might be interested in. 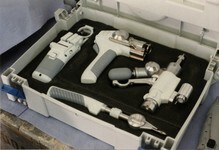 Check out the latest post here, and visit the CIC Forums to help provide input. The holiday season can understandably hinder progress on any project, so it's great to see everyone bouncing back into the swing of things for the new year! GaijinGG has sent in a nifty time capsule that will be a nostalgic stroll down memory lane for some Wingnuts and a peek into another world for others. 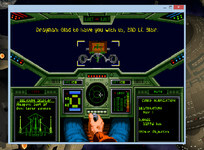 He's scanned in his personal strategy guide for Super Wing Commander that was written way back in 1996. It's a very useful tool for anyone thinking about playing through the game, especially since an official strategy guide was never produced. Detailed mission stats can be a big help for mission planning and knowing when to conserve missiles. Gameflow sequences have also been summarized from the perspective of his character. 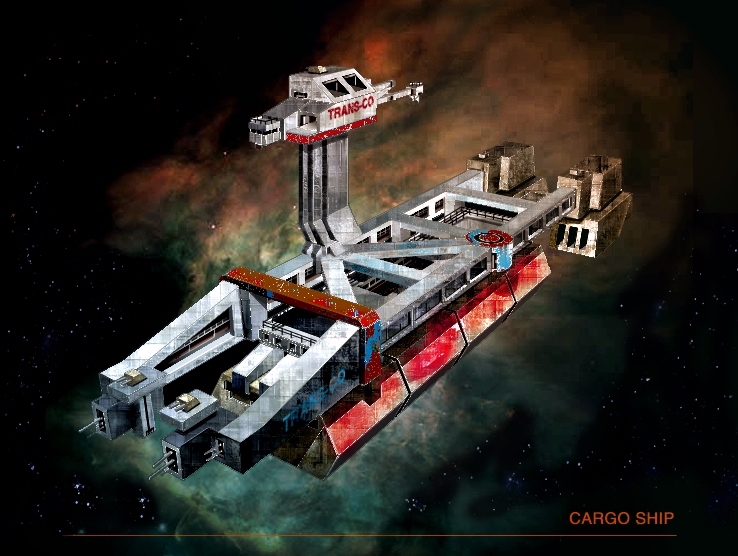 This includes the exclusive "SM1.5" expansion that takes our crew to the Tartarus, Cairo, Anchorage and Jakarta Systems. 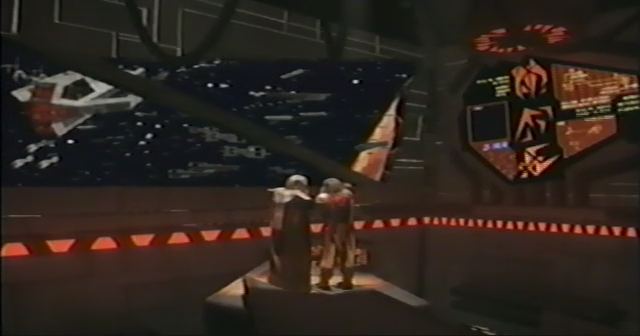 They're exotic places where the Claw hunts down the shipyards that made the Sivar, but some aspects of SM2 were reused for the new expansion as well. Fascinating all around! Download the guide here (9 meg zip). This is a reminder that the polls are still open for the CIC's Website & Fan Project of the Year awards. For a full rundown of the nominees and what made them stand out in 2014, check the original post here. If you found you way to this update on a mobile device and aren't seeing the poll option, open www.wcnews.com again in your browser without the /m/ suffix. Chris Roberts recently gave a presentation at the first British Academy of Film and Television Arts - Los Angeles masterclass on games. He runs through his history in the industry and why he transitioned from games to movies and back. 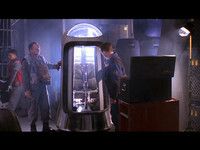 He also covers his time at Origin and makes reference many times to his efforts making the Wing Commander movie. Astute listeners will take note that he talks about meeting with EA to discuss his comeback to games as Star Citizen was originally conceived as a next-gen Wing Commander. You can skip the first 30 minutes of the Twitch presentation and jump right into it on YouTube. Chris Roberts went on to say that it's entirely possible that they'll surpass $100 million next year. The first episode of the story-based Squadron 42 campaign should be released in the fall of 2015, and a full commercial release is planned for 2016. BAFTA Los Angeles is pleased host the first of several planned Games Masterclass events for 2015, featuring a presentation and Q&A from Chris Roberts, iconic game developer and founder/creator of the upcoming title Star Citizen. CIC RSI Organization Turns One! 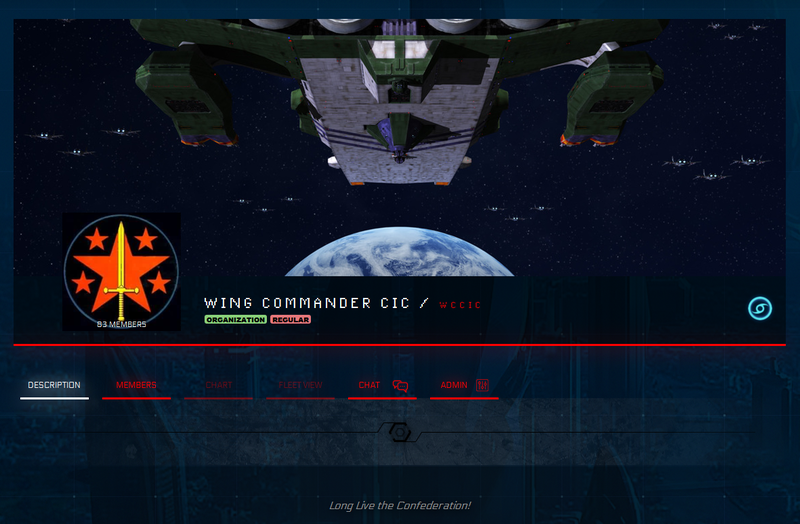 It's hard to believe but it was exactly one year ago that we launched the Wing Commander CIC group over at Roberts Space Industries. We haven't organized any meet-ups for the organization yet, but now might be a good time to do so! 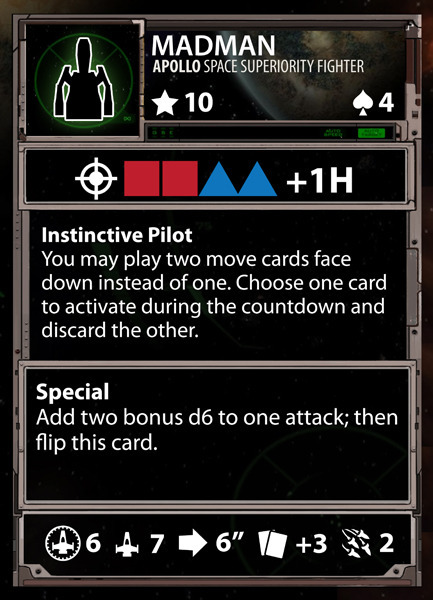 The recent release of Arena Commander 1.0 has added a number of new features, including a friends system that makes organizing matches easier. Be sure to check out the brand new AC trailer below. The continued financial support being given to the project is very impressive. They are roughly a quarter million dollars away from hitting $70 million! This money is being put to use in a number of areas which you can read about in the latest monthly report. If you haven't joined the CIC organization, what are you waiting for? We're going to need every good pilot we have to stop the Kilra...err Vanduul hordes! Derek put together a neat tech demo for what's possible in the Unity engine. It's a concept video demonstrating what a Concordia TrainSim game might look like. 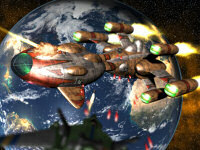 The original plan was to make the project playable with a few waves of incoming enemies. There was even a goal for Oculus Rift support at one point, although this type of development is currently on hold. What has been done here looks really slick though! Hopefully the project continues to be refined so pilots can take it for a spin. 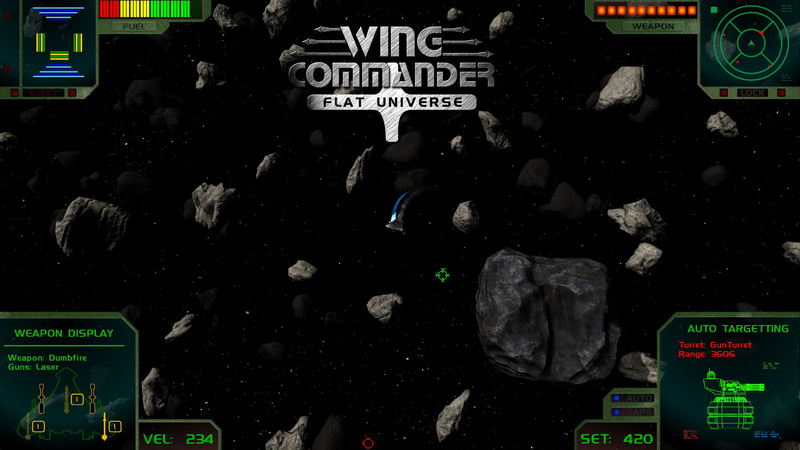 I'm working on a Wing Commander fan game using Unity as a robust 3D engine. With an eye to the future, and not being able to wait for Star Citizen, I wanted to create what amounts to what the original Training Sim was like. 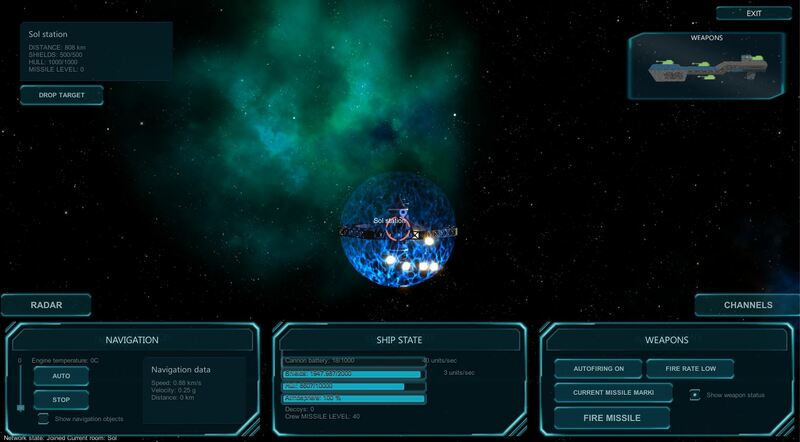 I have the rudimentary pieces in: I added a Dralthi ship as my first enemy type, and I'm working on the AI to just destroy asteroids for now. Flight AI is something I'm new at, and seems to have a decent difficulty curve. 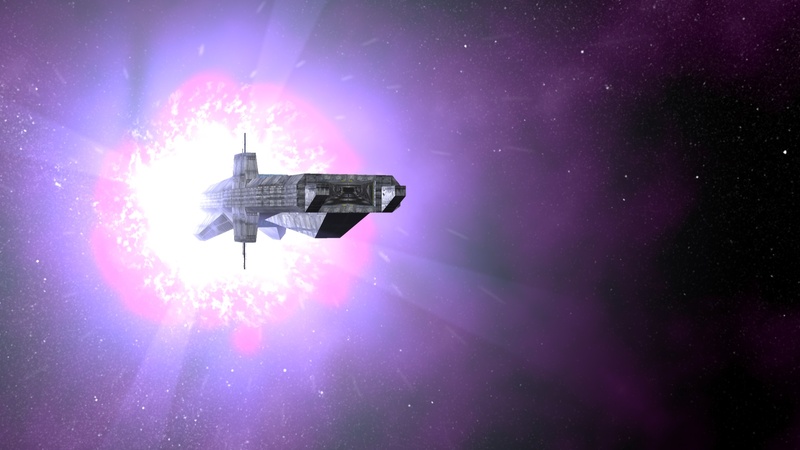 M3RcAden's Sins of a Solar Empire mod is making good progress thanks to some new ship assets. The latest images reveal the Hellcat, Excalibur and Thunderbolt additions to complete the famous WC3 lineup. 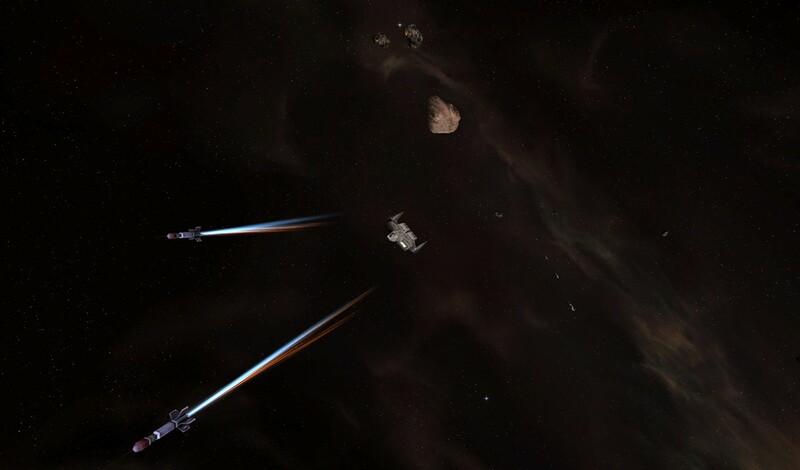 Some of the earlier fighters like the Longbow also have new weapon hardpoints implemented. 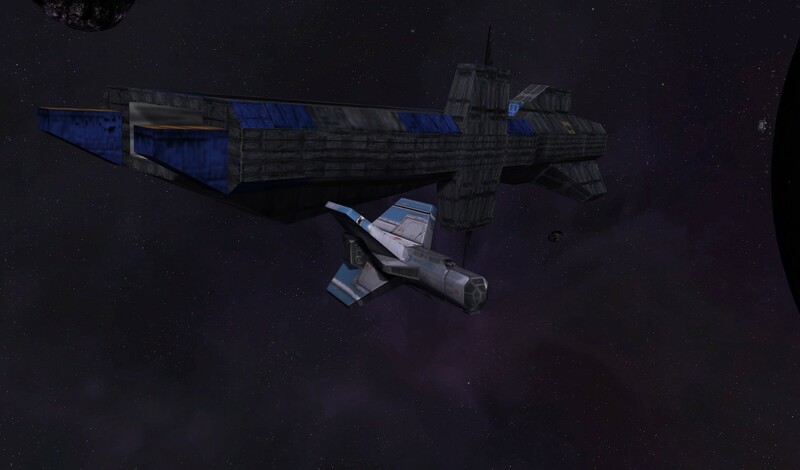 There's some basic conceptual work being done now to define the role of fighter versus capship in the project, and M3RcAden has started to convert the music over to more familiar tracks. 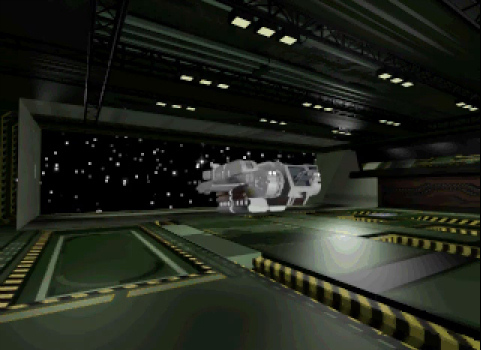 It's always pretty neat when fan projects reach this point where Wing Commander ships have been imported and you can start to see how neat they look with newer engines' special effects in action. 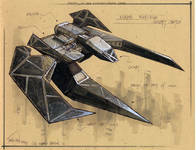 Since Wing Commander was all about the fighters, not the capital ships, and their fight against the Kilrathi, most of the models in the mod will be fighters. Sadly Sins restricts us to having 15 mandatory slots, so we can't pick this. Every slot has to have a roll. 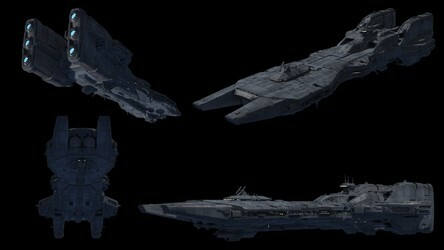 That being said, all of the 'frigate' and 'cruiser' classes of ships are being turned into fighters. Capital ships and the Titans will be the cap ships we have seen in the games, and thus we don't have to come up with too many extra designs. Like I said in my initial post, I would like to be able to use all the orginal game assets, as I plan to make everything spam like there is no tomorrow. 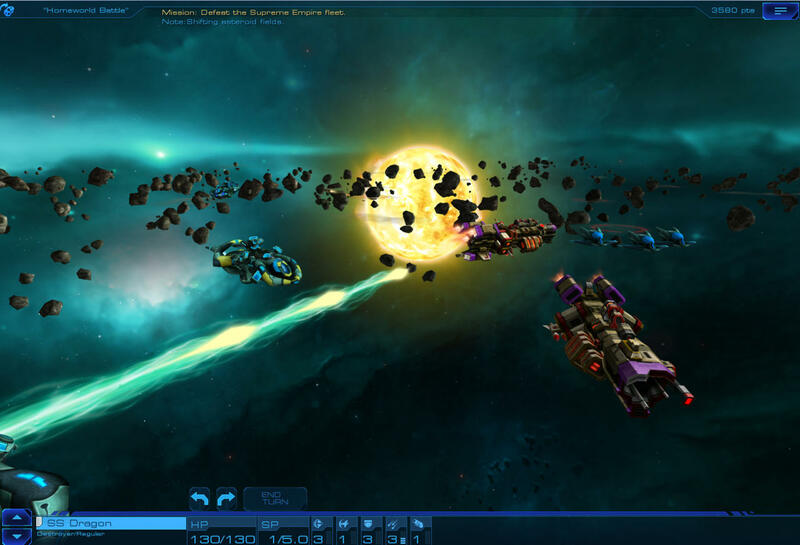 Another big name is getting back into space combat: Sid Meier's Starships was revealed today. 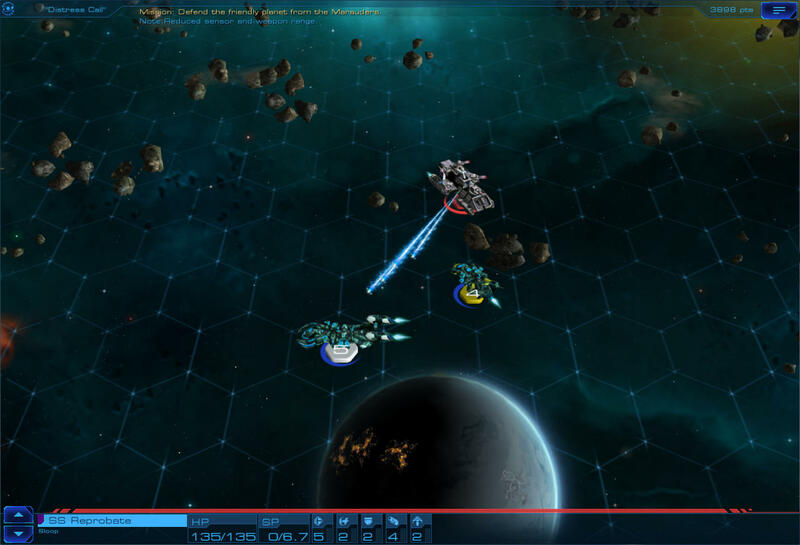 Rather than a first person simulation, the game will feature the famous developer's signature blend of turn based strategy with fleets of warships squaring off across different star systems. Players will research technologies to customize their ships against different factions. 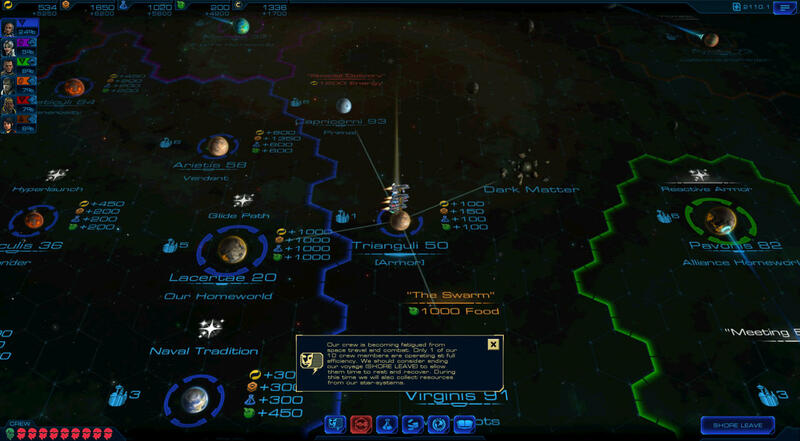 There will also be interconnectivity with people who own the recent Civilization Beyond Earth game. 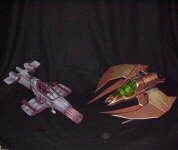 The two must have been in development side by side since Starships is expected out in just a few months. It'll be available for Windows, Mac and iPad. If you like 4X games, this looks pretty neat! 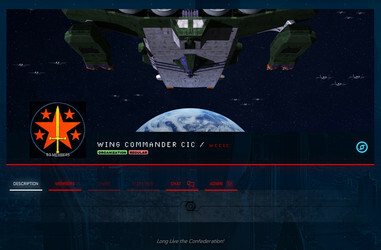 January is already starting to get away from us, so without further delay, we're happy to kick off the annual Wing Commander Fan Project & Website of the Year contest. It's all for fun and there's no prize (besides a spiffy award graphic! ), but we like to take this chance to recognize just a few of the fans who are out there year-round keeping up the war effort! The nominees are listed here, and you can vote once for each contest right from the page below. 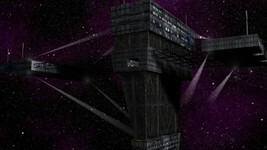 Daedalus Station - The home base of the Flat Universe mod is a slick destination in its own right. They publish the Destiny's Way in-game magazine and host all the previews for the top down shooter. 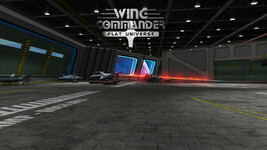 Hangars B & C is a set of two virtual galleries to showcase his array of Confed & Kilrathi ships. Fans love to examine his designs, but without the site, most people wouldn't have an easy way to render up their own views to check out every angle. HCl's Wing Commander Editing Site has long been the place to grab some of the most exotic patches and hacks for the Wing Commander series. 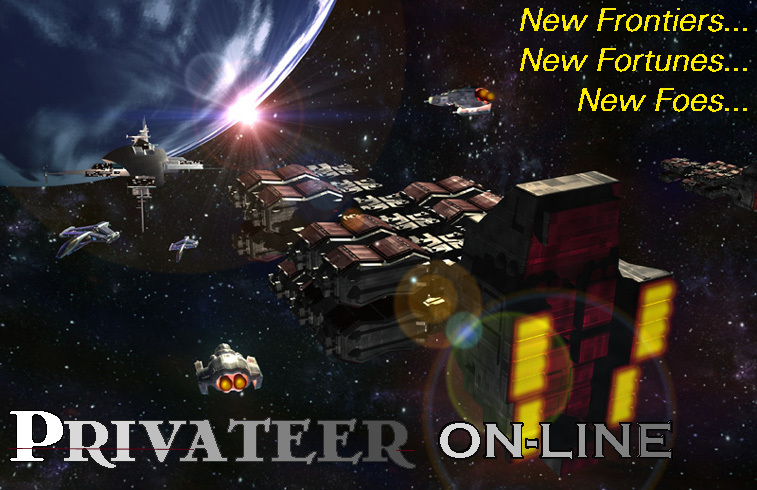 The latest enhancement drastically improves the playability of Privateer 2 on modern systems. Online Ship Viewer - HCl's newest website is another standalone virtual ship viewer. Modern browser technologies allow talented Wingnuts to set up web-based interfaces that would have required expensive specialized software in years past. This one lets fans check out the actual models from Armada, Wing 3 and Wing 4 - and not just fighter models! 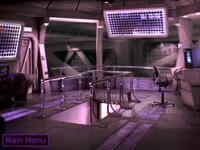 Pix's Origin Adventures is the place to go for anything and everything Origin. 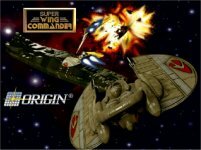 Wing Commander fans have close ties to many other classic Origin properties, and it's great that other franchises - along with WC - are getting the attention they deserve here. Wing Commander RPG has been one of the most steadily updated sites of the year. Capi is dedicated to near-weekly updates and status reports on the creation of the game's latest expansion campaign, Elegy of Sivar. Beat Hazard Ships - Shaggy spent a good part of 2014 adding the Confed and Kilrathi fighters from WC1 into Beat Hazard. The game is a top-down rhythm-based shooter, and the WC additions add a ton to the atmosphere! Defiant Few - The year began with a new chapter of Wing Commander: Defiant Few. The award winning audio drama follows a band of Confederation pilots as they struggle to push the Nephilim back from the Gemini Sector. In addition to new episodes of the regular story, they also put out a special April Fools edition. Flat Universe provided a steady stream of updates throughout the year, which culminated in a highly anticipated playable alpha test. 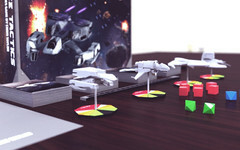 The team has a ways to go before the game is complete, but they are already incorporating pilot feedback to improve the experience the next time out. Klavs' Model Archive - After first creating the slick virtual 3D gallery mentioned aboved, Klavs posted a huge collection of models for fans to use. 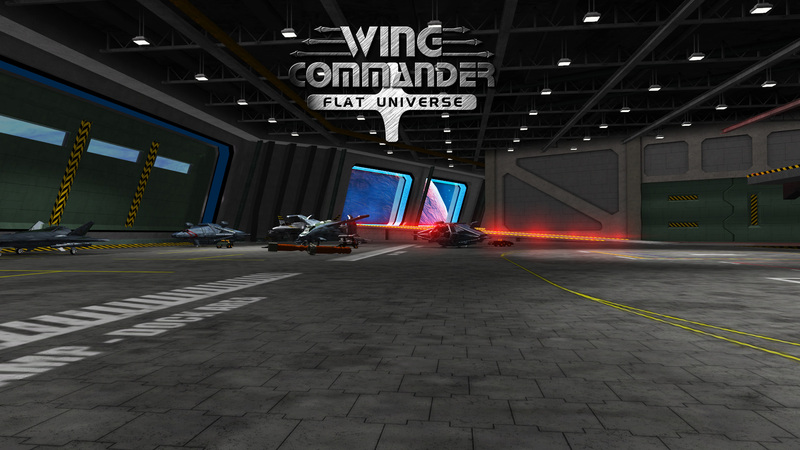 He's amassed a very comprehensive look at the fleets of Wing Commander all in one place. Quite a windfall for other emerging projects! Prophecy Movie - This 2.5 hour presentation consolidates the highlights from both cutscenes and game flight into one package. Fans who are out of practice can now relive the experience from the comfort of their joystick-less desk or living room! Russian Translation of WC4 is an ambitious effort to patch The Price of Freedom in a new language. Some of the hardest parts, recoding the HUD and captions, are complete, so the work that remains is mostly just lots of actual translation. Along the way, a caption bug has been fixed for everyone. 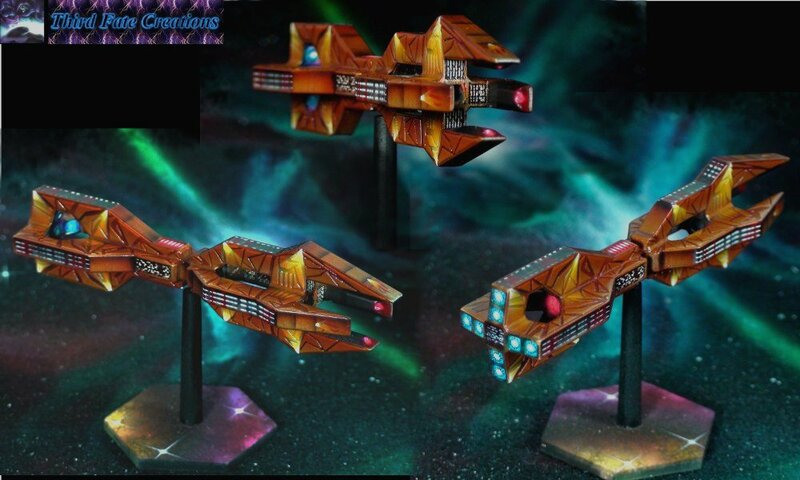 ScoobyDoo's Ships are creative new takes on classic Wing Commander ships. As dozens and dozens have been created, they've formed their own consistent style with some innovative new spaceframe elements. 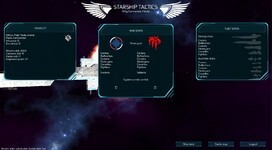 Starship Tactics is a WC capship simulator that's heavy on strategy. Although real life war in Europe slowed development in 2014, Arraen is now hard at work and the project is back on track. Whiplash's Hellcat - Whiplash's project to remake and restore his highly accurate wooden Hellcat model didn't cut any corners. Each step was carefully documented and shared with fans so they could see all the care and effort that goes into an art project of this quality. Fans who followed his construction could appreciate the final design more because they knew exactly what went into every tiny bit. 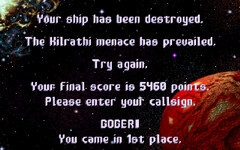 WCDX for Kilrathi Saga - GOG may have lessened the need to rely on KS for the earliest WC games, but the Kilrathi Saga still has some advantages that make it worth playing. 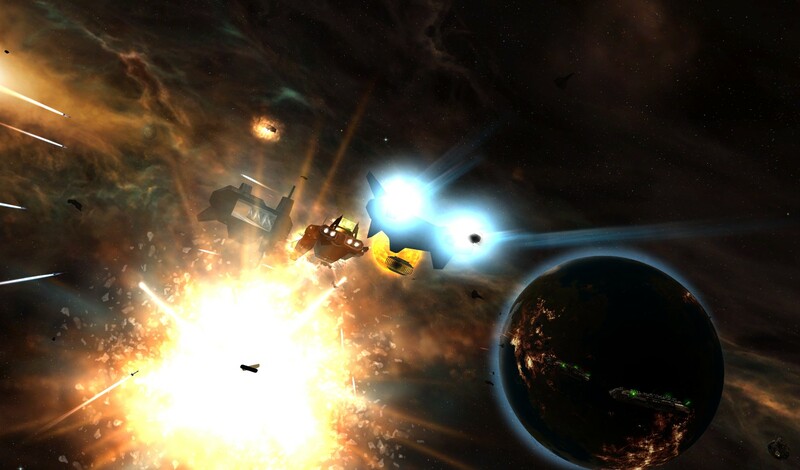 Stinger's patch fixes basic compatibility, multitasking, resolution and more. Interplay and the Freespace Development Corp recently launched a campaign to make a new game in the Freespace franchise. It wouldn't have been a PC or console space sim though! The idea was for a miniatures-based board game with card elements as well. Everything would have been officially licensed, and it was even being designed by Chris Taylor of Fallout/Starfleet Command fame. 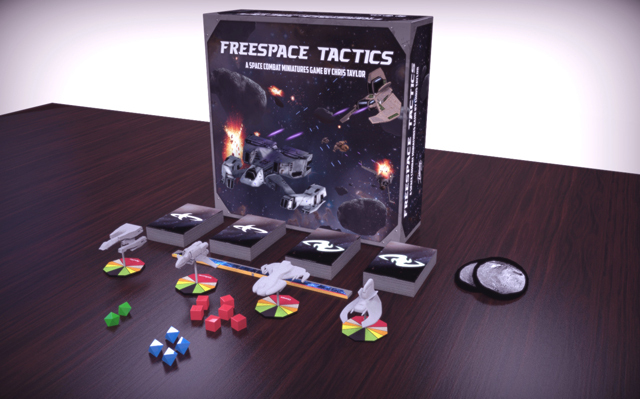 Success could have potentially upped the chances for a real Freespace 3 to follow, but the campaign only raised $17,000 of their $75,000 goal. We're certainly empathetic about the project's untimely end, even if we're not the biggest Freespace fans here at the CIC. Hopefully they can find a way to relaunch with more success. 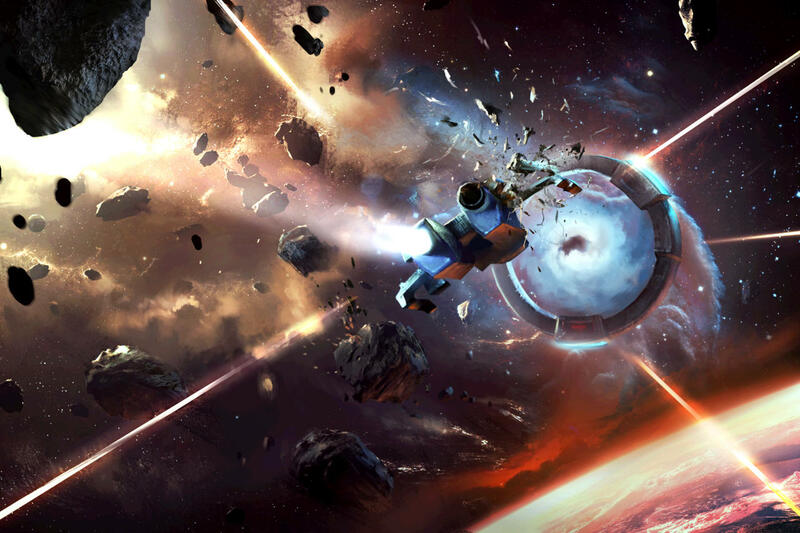 Star Citizen makes it look easy, but getting people to donate to your cause is really hard! 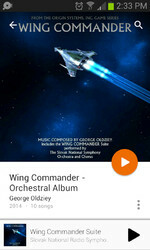 We're super proud that the Wing Commander community was able to collect $50,000 last year to make George Oldziey's live Wing Commander album a reality. That's no small feat - you guys rock! 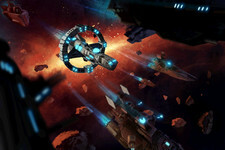 In a strange twist to the Freespace series' legacy, Interplay only recently reclaimed the rights... for $7,500! Thanks to Tyrranus for the tip. 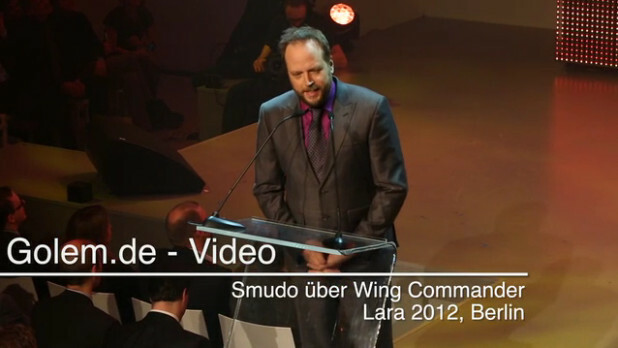 Forums member Aginor has graciously provided us with a transcript for Smudo's Wing Commander talk at the LARA video game awards. Aginor adds that Smudo got a few of the details wrong (the ship is actually the Midway), but that he clearly has fond memories of the series. His final comments may refer to how much gaming and technology has evolved since 1997. 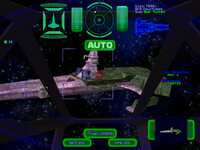 A game that shipped on multiple CD's could nowadays be implemented as a browser game through WebGL and streaming video over broadband. You can watch the two minute clip here as you follow along with the transcript. Behind me you can see a picture of the 34 year old Smudo who already liked playing video games back then. 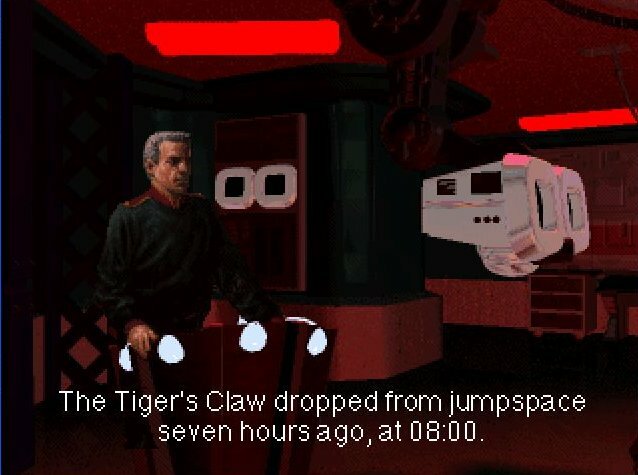 This is a very proud picture, you can tell by the battlefield injury and the A-1 sitting uniform on the TCS Tiger's Claw, ladies and gentleman, as a space cadet in Wing Commander five. I had the honor to get a small - my first - background extra role. It was very interesting, I was.... back then I just followed my crazes when they happened... offered a role in it by Electronic Arts. 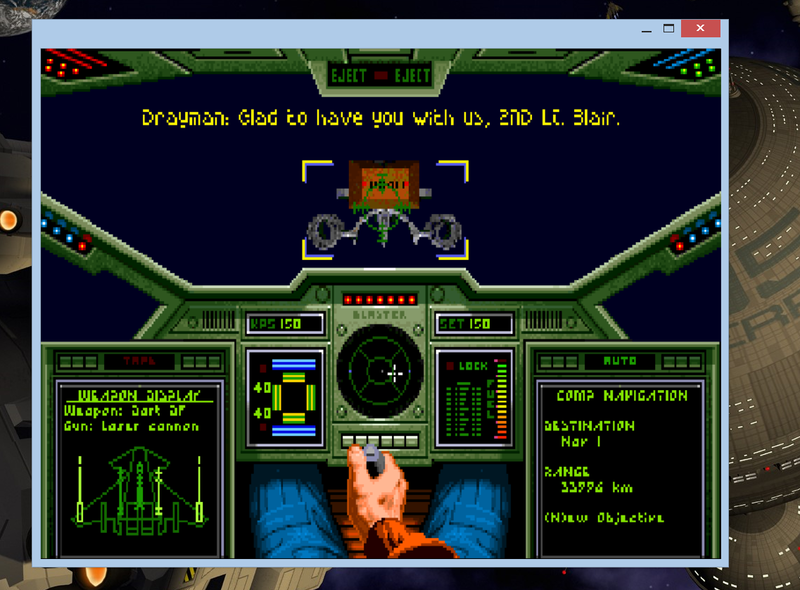 Now I was such a big Wing Commander fan - who of you knows Wing Commander? (people cheering) Ah, so I don't have to explain it. 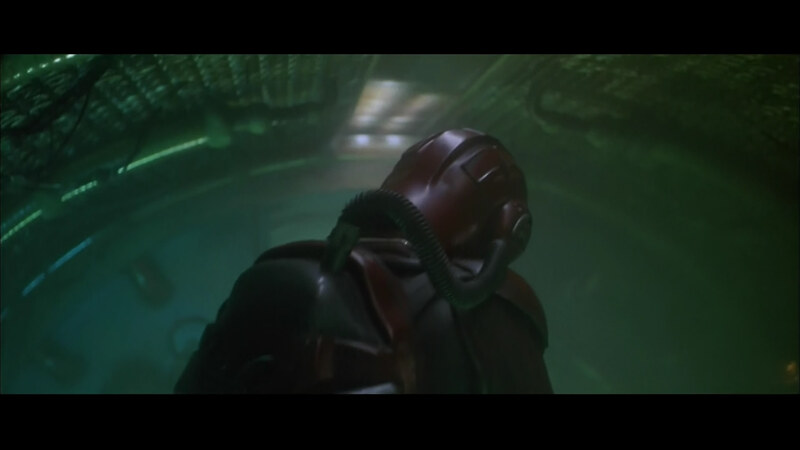 And when Admiral Tolwyn said "I know a beautiful french fighter pilot who can help us" the five of us in the cinema all whispered "Angel Deveraux". Anyway, I flew to Burbank. I got a ticket and boarded the plane, and I knew I was going to America, but I didn't know what or where Burbank was, there was no Google Earth back then. So I just flew off, for quite a while, and then I learned that Burbank is some one hundred kilometers from Los Angeles. And then I arrived there, and straight away got put into my uniform and "bamm!" A photo was taken, and then for about a minute in the movie - the movie was a bout a minute and I was visible in about 30 frames. We all remember, eight, or six, I don't know how much CD's it were. It were CDs, not DVDs, it were six or eight CDs! 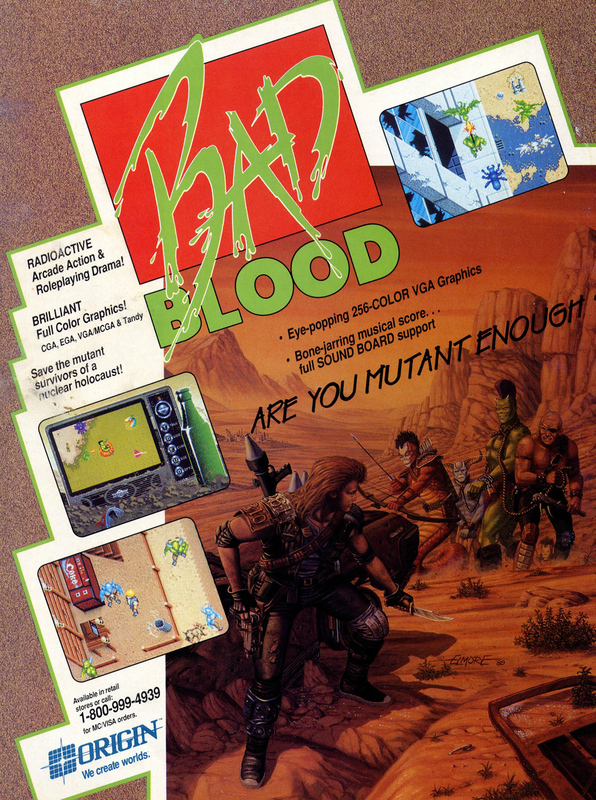 Back then it was a big hit, nowadays that would be a browser game flop. Wingnuts do tons of great things each year, but whatever happens to the fan projects that don't quite make it to release? A number have gone by the wayside over the years, and the CIC archives go all the way back to 1998 (or further!) so there's a few loose ends out there. 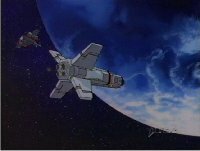 Phoenix dropped in to tie one up with the story of the Wing Commander Rebel Assault fan movie that was in work nearly fifteen years ago. He's dug deep into his old hard drives to share what was completed, which includes some never before seen footage. Although the models might look a bit dated now, they were cutting edge for early 2000s amateur rendering tools and abilities. This is a great look back at what the community was up to back in the days of dial-up modems and 166 MHz Pentiums with 16 megs of RAM! 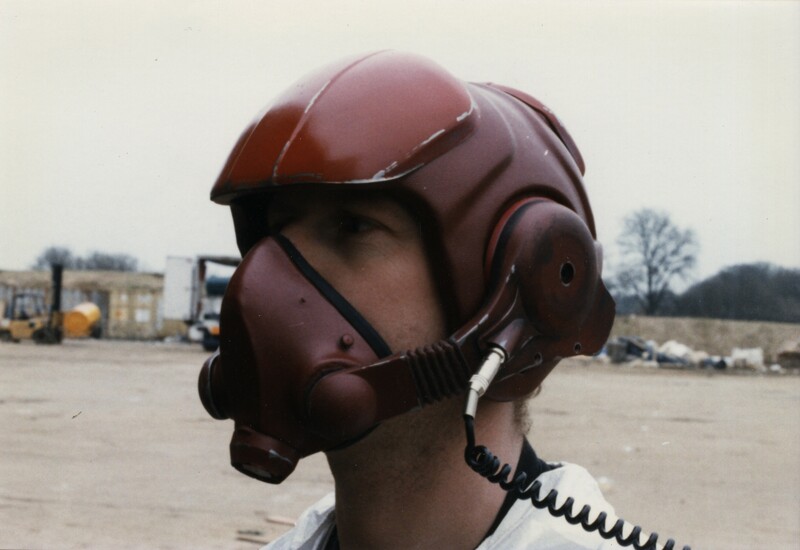 Way back in 2000 some may remember the Wing Commander: Rebel Assault movie that was being made. 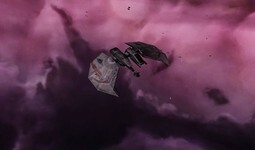 I released a trailer for it and a year or so after that - due to my inactivity - "Tolwyn" of Wing Commander: Saga released a short clip on my behalf that I'd made of the Dragon assault on a Kilrathi fuel depot... and that was it, nothing more was said and it all vanished. Well, it was ambitious for a completely solo venture and even moreso given that the project was the product of me learning to both model and animate at the same time from scratch. The biggest problem I encountered was not only time but quality control. As time went on my modeling and animation improved dramatically, so much so that the quality of later scenes was so much better than earlier ones that they just wouldn't fit together. I could also do things that I hadn't been able to achieve previously. I couldn't afford to continually remodel existing work and with life taking precedence I just gave up. A whopping 15 years later, which is hard to believe, I decided to dig out some old archives from the PC I had back then. I figured that maybe some people would be interested in why the project vanished and what was made but never released. The data is fragmented over various drives but a lot of the animation is still there in all its glorious 320x240 resolution. I've uploaded a new version of the Rebel Assault trailer to youtube along with a reel attached immediately after the end of unreleased scenes that were either due to be included or had been scrapped totally for various reasons. 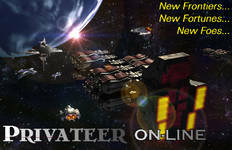 There is a lot of other stuff related to Privateer, Starlancer and Jumpgate's Drakhai which I haven't yet gone through. If sufficient interest, I may look at reworking some of that. 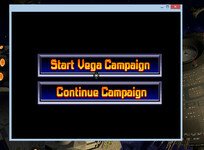 Luke and the team continuing refinement of the WC Saga mod have a new website home base at wcsaga.org. 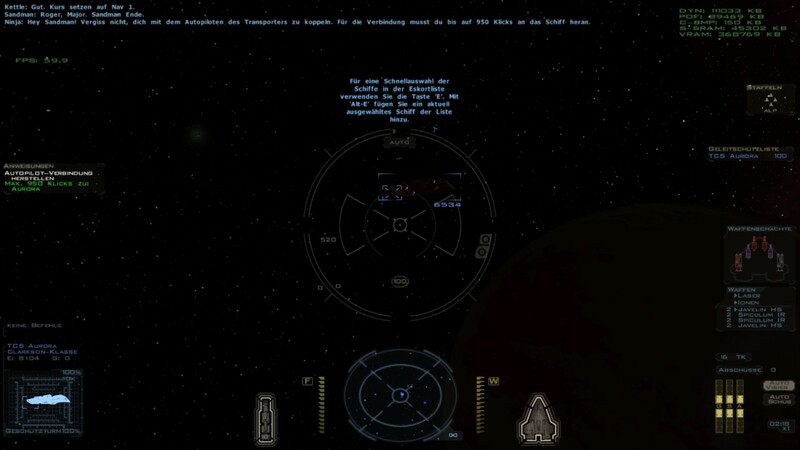 Saga Plus is designed to improve the interface and usability of the FS2 Wing Commander mod, and they are adding enhancements to the fiction viewer, mission editor, heads up display and more. Right now the focus is on the German language conversion project, so the forums at the site are geared around that. Until they expand, there is an English language Saga subforum at the CIC Forums. Luke has already built tools for Pilot Management, Debugging, EPW Repair and Unzip Checking, but even more useful apps are in the works. 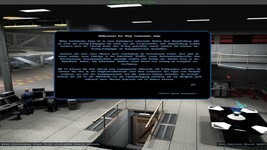 This is now the official site for our "WCS Deutsch Team" and our projects "WCS Deutsch-Mod" and "WCS Plus". We've been using this domain since Summer 2014 for our beta webspace and now we are moving our internal developer forums to the new home. There are also already a few public forums. 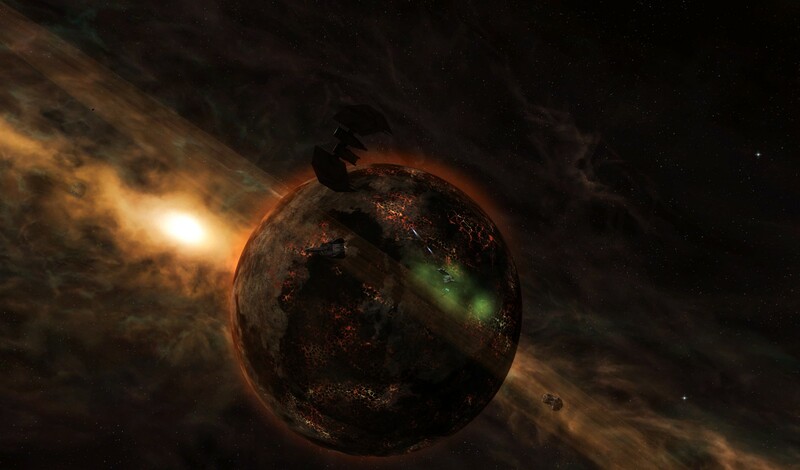 Further it is also the new home for all of my WCS tools I published over the last 3 years. A few I haven't published will be coming soon (TM). Back in 2011, I was contacted by Universal with a polite, informal cease and desist -- we own Wing Commander Academy and you have episodes on your site, blah, blah, blah. I wrote back that of course we would take down the episodes immediately (and politely let them know we actually posted them with their permission... it was just given twelve years earlier before anyone thought streaming full TV episodes would be a thing.) I mentioned in my note that we loved Wing Commander more than anything and that we very much wanted to help spread the word. Was there, per chance, a home video release in the works? The woman who had politely threatened to sue me wrote back. Her entire job was writing these letters to people, and none of them had ever replied nicely or offered to help with anything. She was so grateful and promised to write me back as soon as she could say something. Almost immediately, I got a phone call from a fellow at a publisher called VEI. 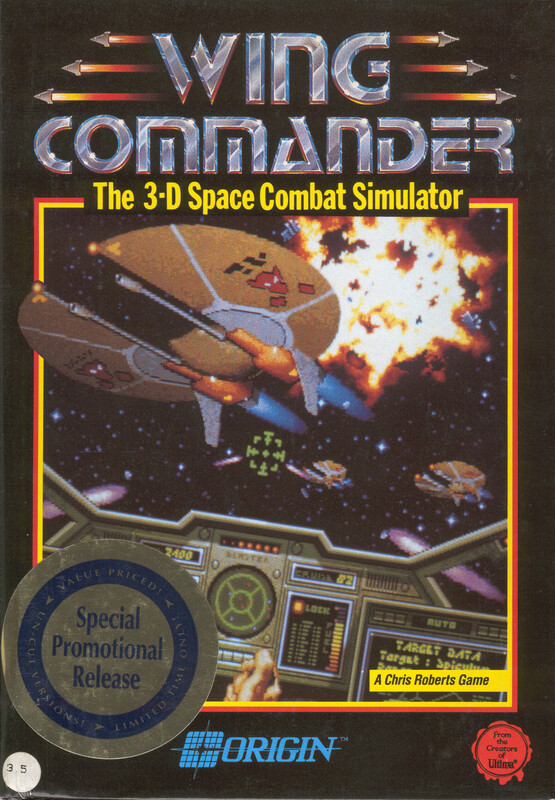 He'd just licensed Wing Commander Academy, and the rights search had been at his request. He was going to put the entire series on DVD, and wanted to make sure the marketplace was ready for it. We spent several weeks going back and forth; I provided him several gigs of key art from the series, wrote box and ad copy, suggested some extra material for the discs and so on. Then, he wrote to tell me: they'd received the raw footage from Universal and for whatever reason about ten seconds were missing from one episode. Oddly, I knew exactly which episode it was going to be: On Both Your Houses, which had a strange, glitchy original airing. No one had any memory of the issue, but there was some trouble with the production somewhere along the line. But ten seconds of the episode were missing, and did I think he could get away with having a disclaimer? No, I said, we're going to find those ten seconds. I provided raw copies of the show and my highest-possible-for-a-teenager-at-the-time off-air dubs from 1996. But the result was pretty low quality, and obvious. That's where Larry stepped in! I contacted him to ask if he had a clean copy of the show. Sure enough: he did! And he was willing to ship his personal BETA tape off to Canada for VEI to work from. Then, everything fell silent for a few weeks. Did it all get resolved? I wrote to Larry to ask. Actually, he replied, he kept trying to ship them the footage but he wasn't getting any response when he asked them to send him a mailer. I contacted VEI directly and found that the producer who was SO EXCITED about Wing Commander Academy had been fired suddenly and that his projects had been taken over by someone far less interested. I explained the situation and convinced him that we needed to do this even if it was "just" ten seconds. But of course the discs were being mastered the next week so it had to be done RIGHT NOW. Larry was game, we overnighted his tape to them and the episode is complete! Anyway, long story short: you can see the brief 'lower quality' footage in the episode. 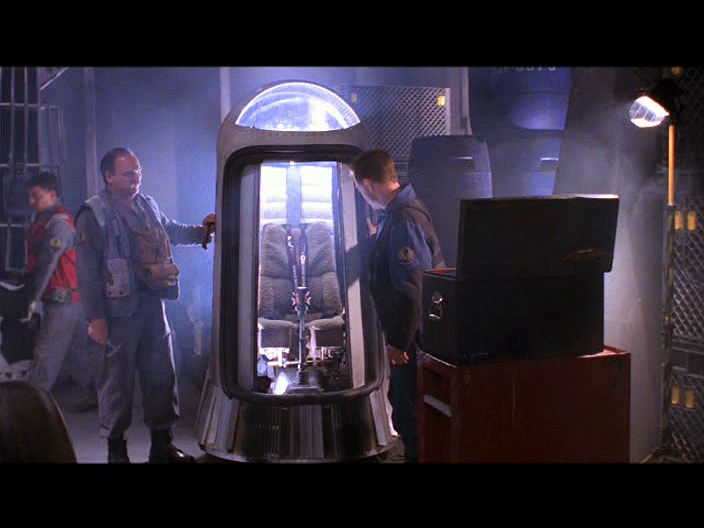 That's Larry's tape, shipped off with no payment or other reward just to make sure that Wing Commander fans got to see the whole story. He was a genuine, stand-up guy, and we're poorer for having lost him. Larry sent me a package of Academy sketches before he died, which I'll try and get scanned and online as soon as possible. 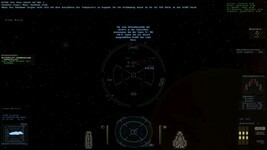 M3RcAden is working on a Wing Commander mod for Sins of a Solar Empire. His focus is on the late Kilrathi war and on into the Prophecy timeframe. 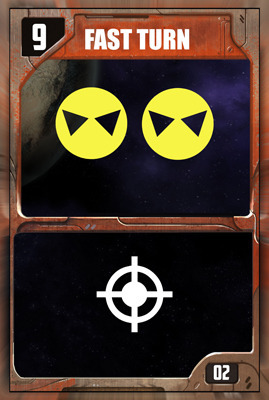 He's got experience modifying this strategy game for other purposes, so we're anxious to see what he can do here now. Right now the main issue to work through is extracting the authentic original models into a useful format. If anyone has any tips on this part of the process or would otherwise like to help, check out the CIC Forums. M3RcAden already has a Dralthi, Longbow and carrier functioning in the engine, and they're looking pretty good for 20 year old designs! 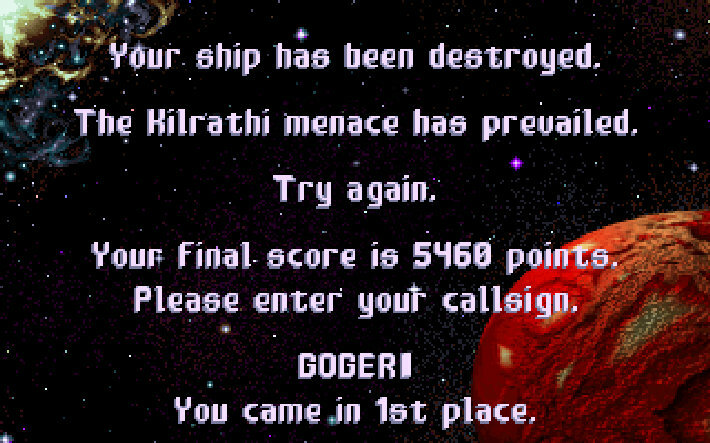 I am a long time fan of Wing Commander and have played through 3 and 4 countless times, and have a serious longing for the Kilrathi War. 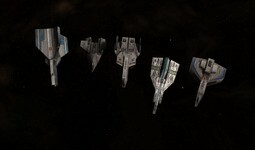 I am a modder of Sins of a Solar Empire, a 4X strategy game and was thinking not to long ago how awesome it would be to have a Wing Commander mod for it. 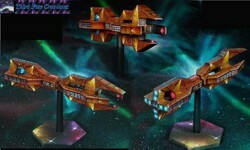 I am curious, can anyone give me a link, or possibly a tutorial to retrieve, for the models from the above mentioned games? 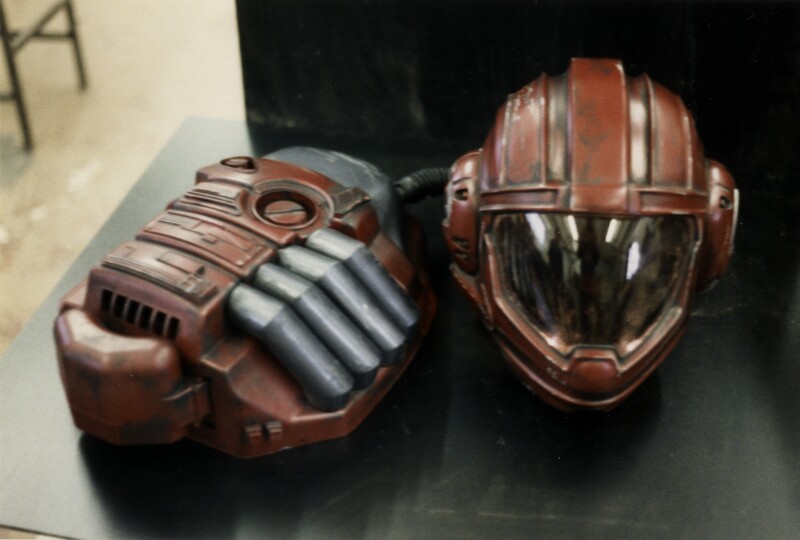 I mean actual in-game models that were used by Chris Roberts and the team, as I want to bring the feel of the original games to a RTS setting. Thank you in advance for any help you can give. 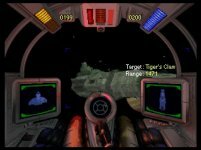 Stinger's nifty new compatibility patch for the Kilrathi Saga version of Wing Commander 1 has exited beta and been bumped up to full 1.0 status. It replaces the original DirectDraw calls with more modern Direct3D programming that enhances future compatibility, improves color display and fixes resolution issues. There is also a new windowed mode and closure for the persistent music looping bug. Compared with the beta releases last month, this formal release resolves some issues that popped up if a player had the game CD in the drive, fixes an autopilot crash and handles savegame location better. 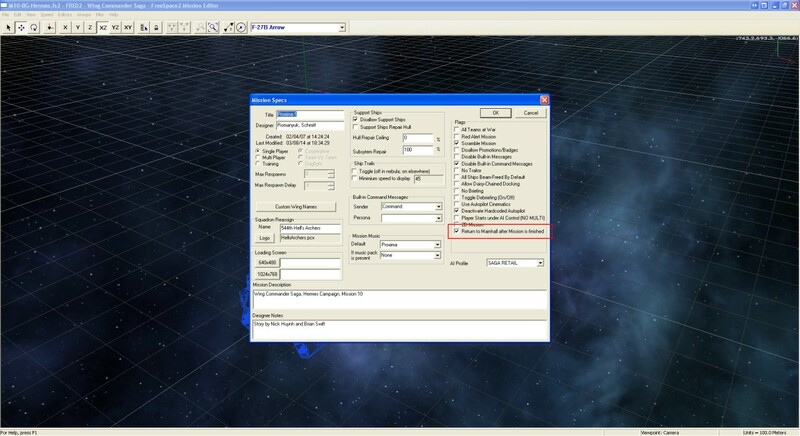 You can grab the patch here (250 kb zip) and find full instructions at the CIC Forums. Stinger will move on to customizing the program to work with The Secret Missions next! Now that the beta has had some bake time, I've officially promoted it to 1.0, with only very minor revisions from 1.0 beta update 3. 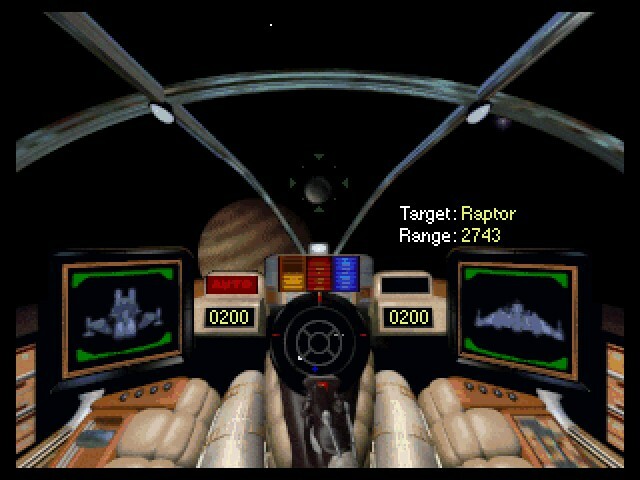 Wing Commander 1 is fully playable, but the mission packs are not. Next up is Secret Missions 1. I've already converted the transfer program to use WCDX (although that's not part of the 1.0 release), but with the resumption of my normal workload following the holiday break, I have less time available for working on this project. 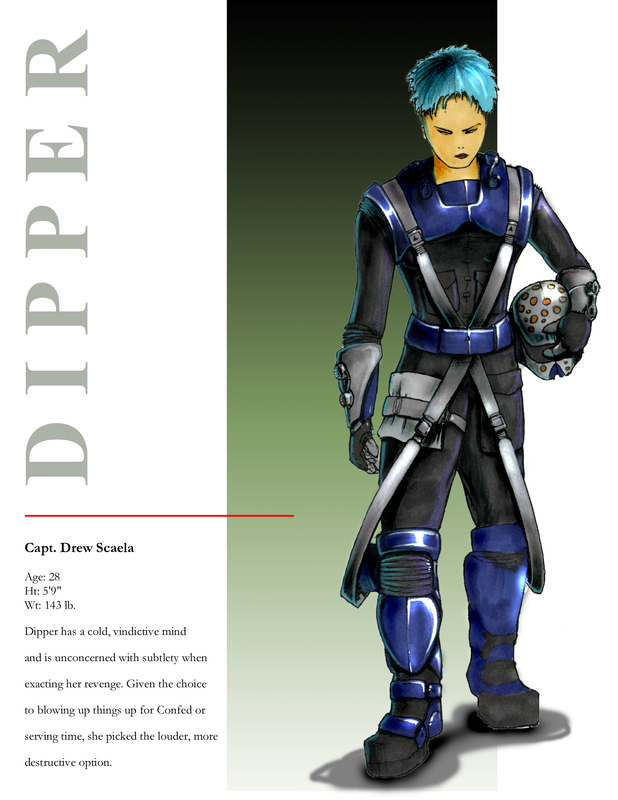 I'll try to set aside some weekend hours; hopefully it won't be too long before we can start chasing the Sivar dreadnought. Here's something from 2012 that we've only now come across. German Hip Hop artist Smudo (Die Fantastischen Vier / Fanta 4) was a speaker at the 2012 edition of LARA, a local awards event for videogames. 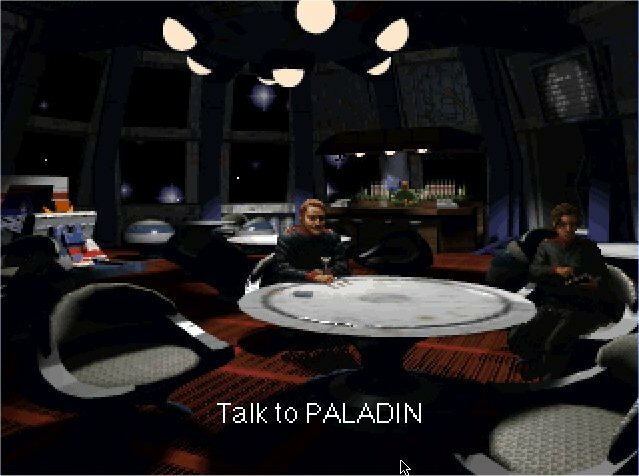 Golem.de has some two minutes of footage in which the artist discusses his connection to Wing Commander. We've previously reported that Smudo was a background actor in Wing Commander Prophecy (pictures), something we only learned about this when our German readers spotted him in the Prophecy set photographs. You can watch the clip here. Perhaps one of our German visitors could provide a translated transcript? News sites around the world are carrying a story about SpaceX's launch today, and the big ones are almost all negative. 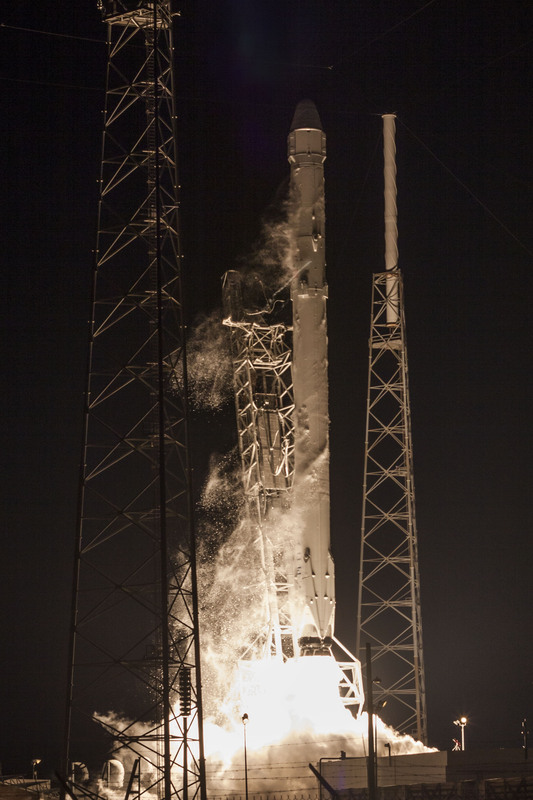 "SpaceX Stumbles," "Booster Fails" and "Lands with a Crash" are what you'd see if you just skimmed the major outlets. Yikes, huh? It's all a matter of perspective, however. Smaller and science minded publications had a much different take. Business Insider says, "SUCCESS: Elon Musk Landed A Rocket On A Platform In The Ocean." Yes, they're talking about the same event this morning! The rocket did hit its mark, just harder than expected. 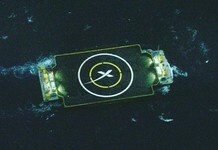 But it came down on target to a bullseye bobbing in the ocean, and the floating pad is still operating fine. 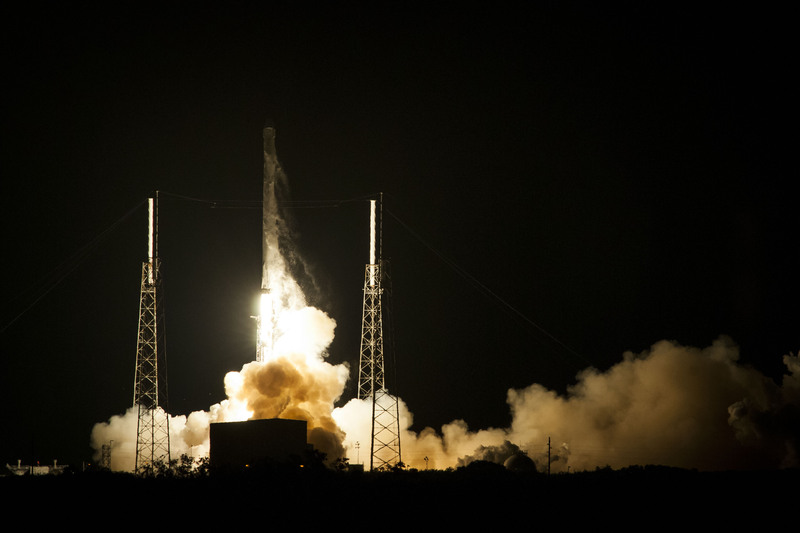 The SpaceX team has already isolated the issue to the hydraulics system powering the grid fins used for steering, and next time they're upping the reservoir to compensate. 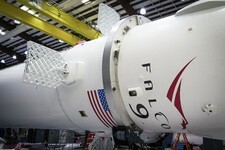 And the Dragon capsule that went up today should successfully resupply the space station in about two days! 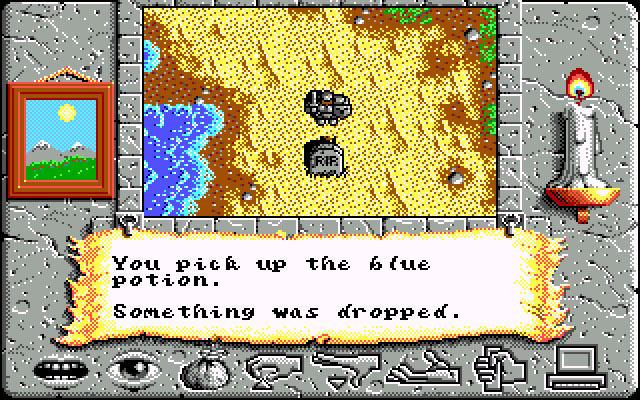 It's been widely reported that Archive.org has added more than 2,300 classic DOS games to its virtual database. 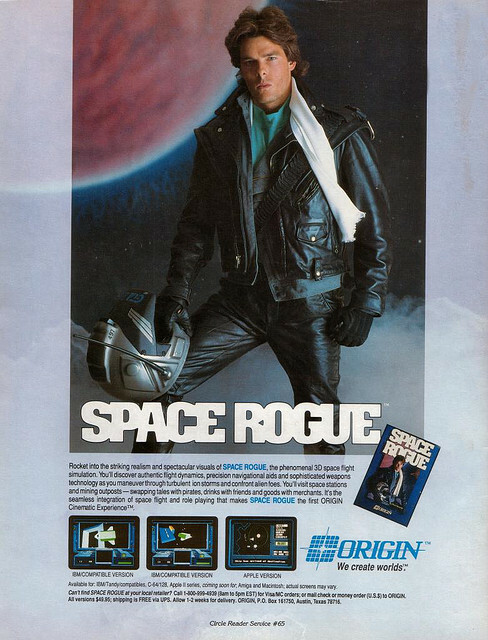 This set includes a handful of Origin selections including Space Rogue, Ultima VI, Pacific Strike and Chris Roberts' Bad Blood, among others. The internet has had a field day with this story, and few sites have stopped to ponder the legal ramifications involved. Of the few places that have touched on the subject, most simply point towards the Internet Archive's DMCA exemption and party on. If you actually read the thing though, it clearly states that the exemption applies to media that depends on obsolete hardware - which then sets up a virtual Catch-22 since DOS emulation works really well on today's machines. Of particular interest is that some games have been removed this week. 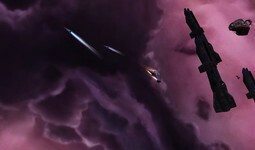 Wing Commander Academy, which is available for sale on GOG, was just pulled from the site. It's not clear what the circumstances surrounding this are, but it seems that there may be some sensitivity to games that are still being sold today. There are heated arguments both ways that posting games like this can both help or hurt a long lost franchise. 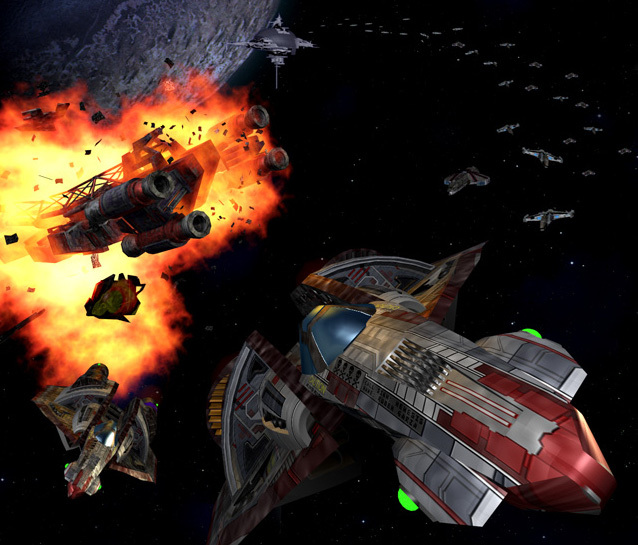 We're very proud of the fact that the CIC carefully avoided posting WC games online before modern digital distribution arrived - all the while working behind the scenes with EA, GOG and others to push for a legal way to obtain Wing Commander again. It'll be very interesting to see what comes from this latest development! There's a convenient update for people listening to the orchestral Wing Commander album! George Oldziey has posted both MP3 (320 kbps) and AAC (m4a at iTunes HQ standard 256kbps) versions of the album's existing tracks alongside the high quality master tracks released last month. The new files have been tagged with metadata for the fan made album art, artist, composer and more. They're also tagged with track numbers corresponding to George's suggested listening order below. If you've backed the project on either Kickstarter or Fundrazr, then don't forget to check your email or log into Kickstarter for the latest download info. If you haven't received your email yet, make sure to get in contact with George or us here at the CIC and we'll try and get you all sorted. Greetings all! 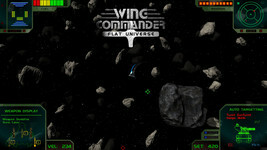 The wonderful team at the Wing Commander CIC website created both MP3 and AAC versions of the music for you all! Thanks to... the entire CIC staff for your generosity of time and talent! BTW, I'm just now diving into the digital orchestrations of additional music, and will have those ready for you all in the not too distant future! 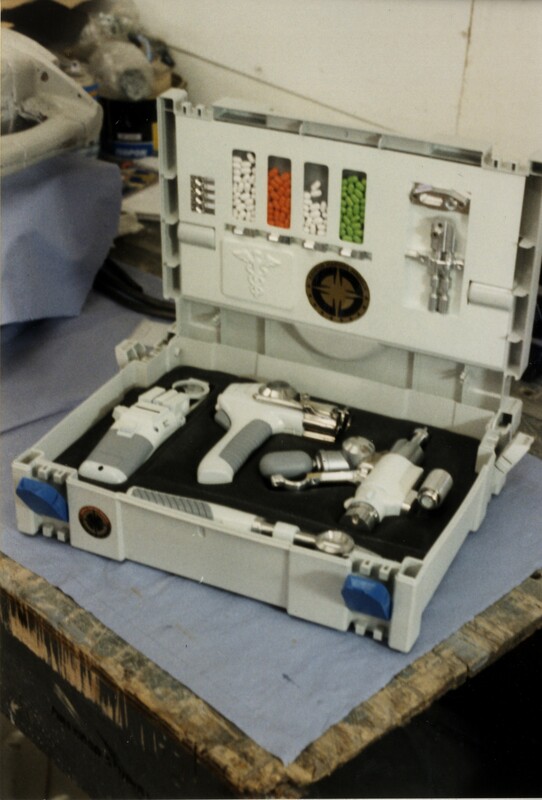 Howard Day sent us some nifty Wing Commander movie prop pictures "from a super pack of Bill Pearson's work on many many different movies." Anyone interested in Checking out Bill's vast array of work can check out his portfolio website here. This first set of images is probably the most interesting of the bunch. 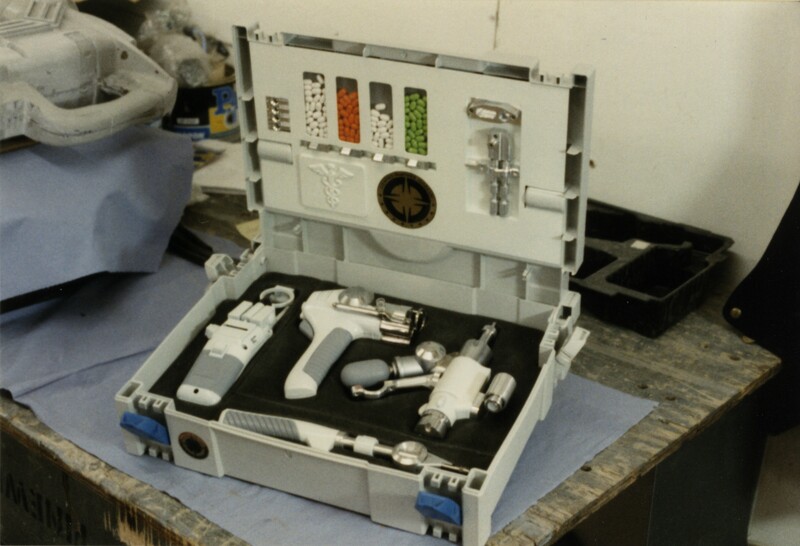 This is a very nice look at a Tiger Claw medkit. When the Tiger Claw makes the jump to the Ulysses Corridor, Angel is thrown against a bulkhead. We see her put her hand to her head and when she removes it there's a patch of blood on her forehead. 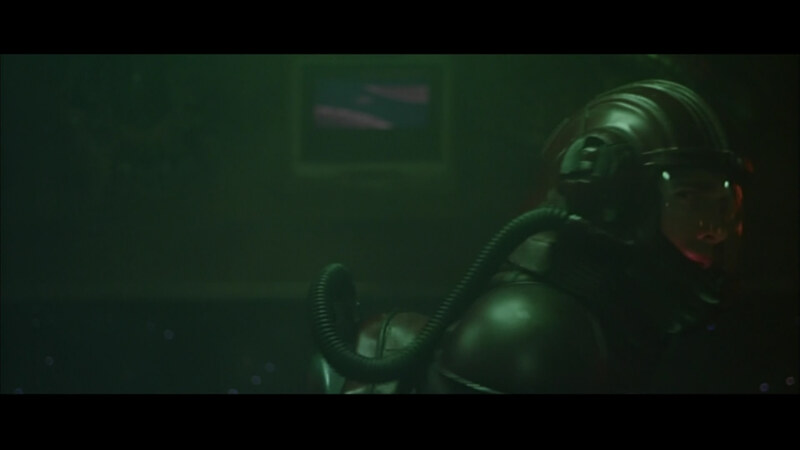 In the theatrical cut, that's about all you will see. However, a number of shots were trimmed from this scene where Blair goes around the corner and gets a medkit - the one shown in these images - and takes out a tool to attempt to mend Angel's wounds. 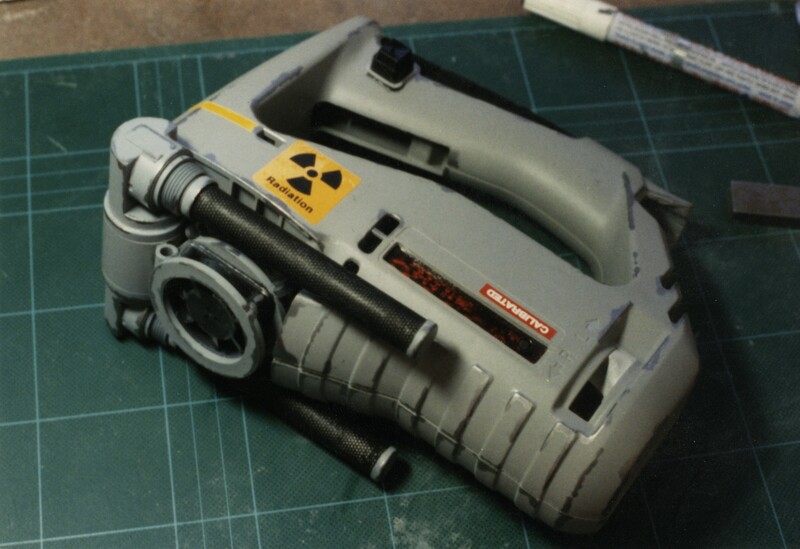 You can see it in action below courtesy of a few screenshots from the Movie workprint. 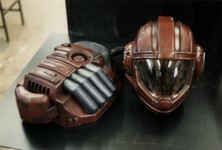 Next up is your standard Confed Marine helmet and gear. A typical Pilot's helmet. This one doesn't seem to have a pilot's name on it. 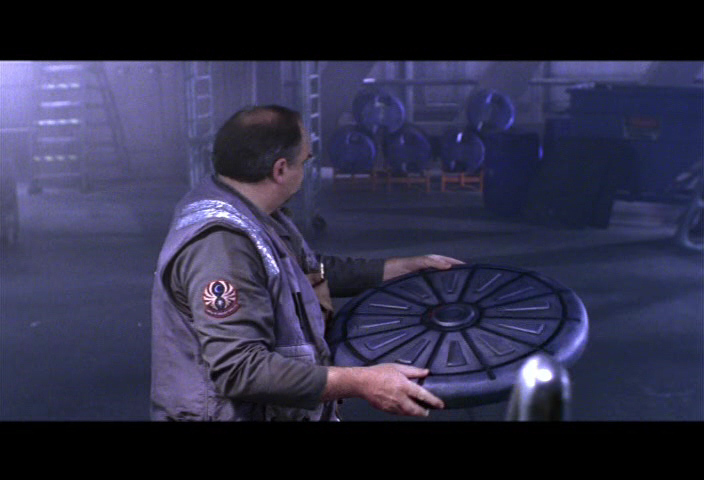 And finally we have some sort of scanner that Angel is holding as she works on her Rapier when Blair approaches to talk to her about Maniac. Listen To Your Chief Tech! 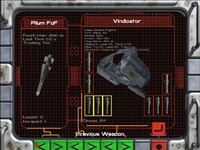 Ginger_Tigra has extracted most of the sound clips included in Wing Commander 4's gameflow file. This includes things like the loudspeaker messages, voiceovers when Blair dies, sound effects and Pliers' witty comments over the loadout screens. There's nearly fifty just of those! 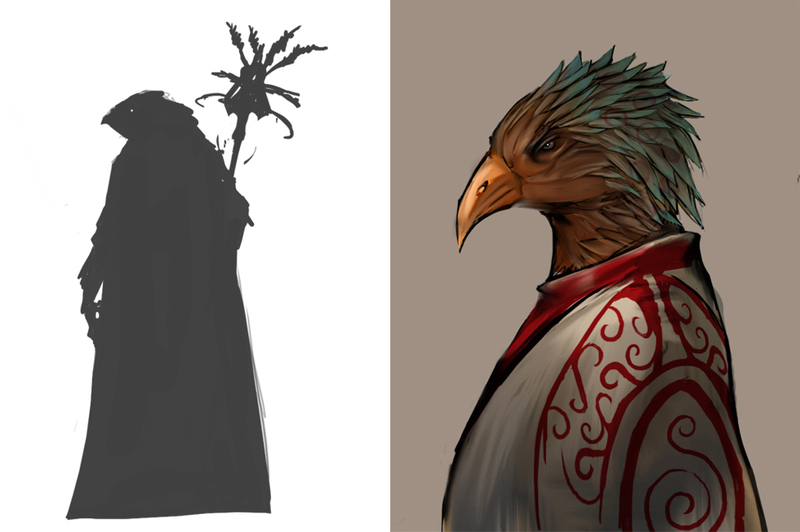 It's a lot of idle chatter, but there are quite a few interesting bits of backstory lore tossed in as well. They're worth a listen for the nostalgia factor alone, but AD has typed up the text for easy reference. Download the audio pack here (15 MB zip) or jump to the Pliers transcription here. These FOFs always spook me. One hit on your ship's QIPID resonator and they go for the first thing they see. Big damage though. Didn't get around to finishing repairs on your ship, kid. Sorry. I'll cross the external energy inducers over the back-manifold heat shield, which should get you around 50 KPS higher cruising speed. No idea why so many people like the Photon Cannon. I always thought the heat to divergence ratio was lame. I've pushed the limits on those old Confed tractor beams you probably learned on at the academy. I doubled the axial frequency, added inertial retracors and pretty much tweaked the hell out of 'em. You'll be impressed your next salvage op. If you've got mines on your ship, I recommend using 'em. I've see more than one bogie bite it because he didn't watch out for these creepers. They track, you know. 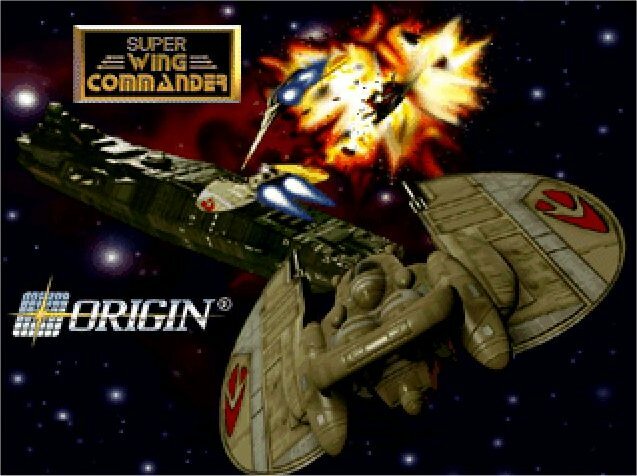 Eurogamer has posted a new article on the unreleased games of Origin Systems, Inc. It's an interesting look at both conventional and off-the-wall ideas that never made it to production. 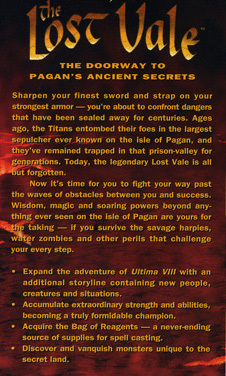 They highlight what would have been a number of new IPs rather than the defunct sequels of the established franchises. Carl's Crazy Carnival: "This is a game made up of several small games that, together, allow the player to free 'Carny' Carl, owner of Carl's Carnival. He's been captured by a cartel of crazy clowns who have conspired to convert Carl's Carnival into complete chaos." Armed only with a water pistol but with the ability to upgrade to better weapons through arcade-machine tickets, Carl's Crazy Carnival would have you defeat legions of amusing enemies in order to reach the Cosmic Comet Roller Coaster. There, you'd free Carl and save the day. Reading the pitch, it's oddly unclear what sort of game Carl's Crazy Carnival would have been. There's mention of minigames, action and overhead maps, but nowhere does it specify a perspective or specific genre. 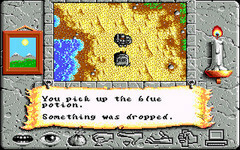 Even Warren Spector seems unsure now, describing it only as a 'console-style game' pitched by one of the artists on his team, the late ZZ-Top and Ultima artist, Bill Narum. 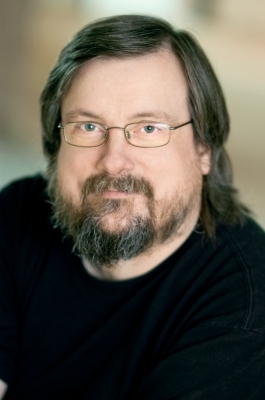 "I liked the idea of a funny game and pitched it to the exec team," says Spector. "It was rejected." 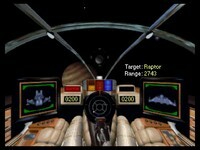 Wing Commander had quite a few canceled games over the years. 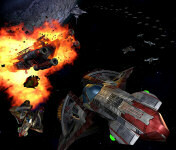 On the MMO front, there were multiple attempts at both Privateer Online and Wing Commander Online. 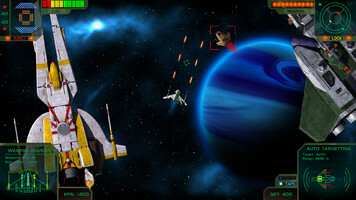 The Maniac Missions was briefly in work in 1997, which was the same year that the Wing Commander Hazardous Duty FPS game was in development. After Secret Ops, there was to be a co-op multiplayer sequel called Strike Team, which was eventually superseded by WC Shadow Force. 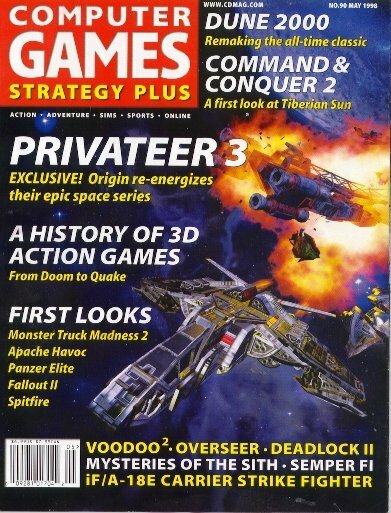 Privateer 3: Retribution was also an especially tantalizing game that even made it to magazine covers before being canceled! Quite a few ports failed to see the light of day as well. Beyond WC2 SNES, there were proposed WC3 & WC4 editions planned for the Saturn, WC3 slated for the M2 and WC4 for the 3DO. The campaign for Arena was also cut before release. The axe wasn't limited to software either! 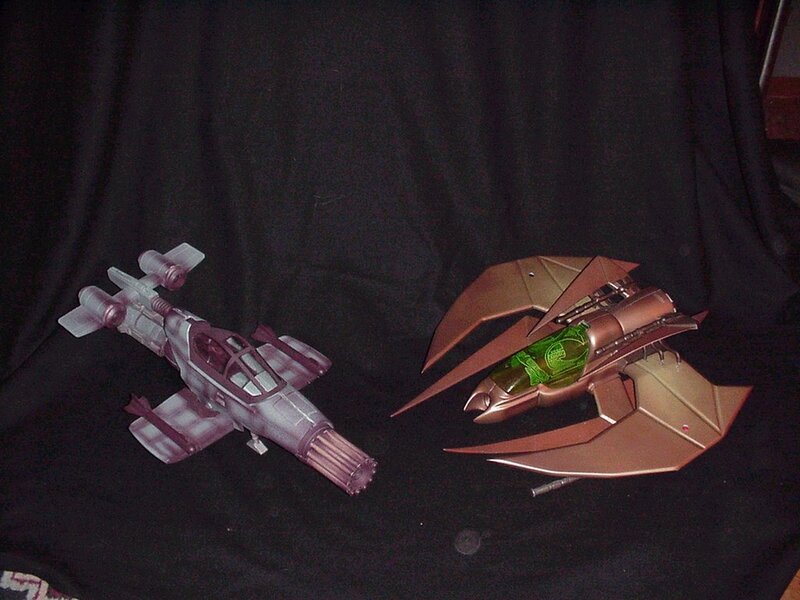 The X-Toys Wing Commander vehicles, SciPubTech cutaway poster, Pilgrim Truth novel and the Showscan WC Movie Ride were among the canceled physical products. Although we couldn't experience each of these first hand, the least we can do is remember them here from time to time! Starship Tactics is back in action. Arraen had to suspend development last year due to the war in Ukraine, but dedicated Wingnuts always persevere! As you can see from the new screenshots of the gorgeous Tallahassee below, the focus will be on capships and fleet engagements with the possibility of crew management added in. 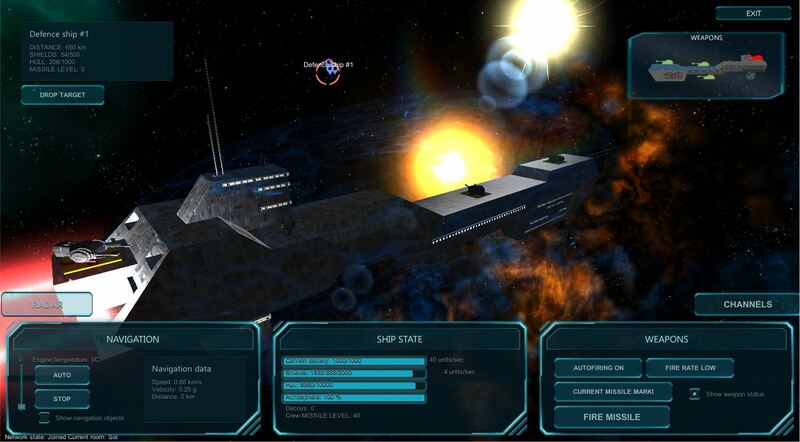 Progression in the game will allow players to create larger fleets of more capable warships. Arraen's got a realistic development plan in mind that is focused on getting the engine and multiplayer working before he considers too many additional features. That's the way to get things done! 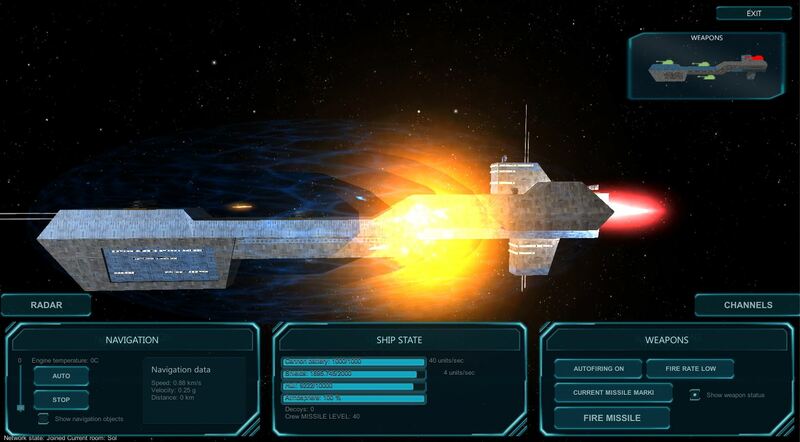 New GUI, some additional shield effects. The Tallahassee class cruiser is fighting against two Kilrathi corvettes during attack on a Kilrathi station in one of the systems in Vega sector. My main idea is to create a multiplayer war where each player should start from a small corvette and after endless battles and countless points of experience change ships like this: corvette -> destroyer -> cruiser -> battle cruiser -> battleship -> carrier. That's why I decided to develop some kind of sandbox game where you can play different tactics and different opponents each time. 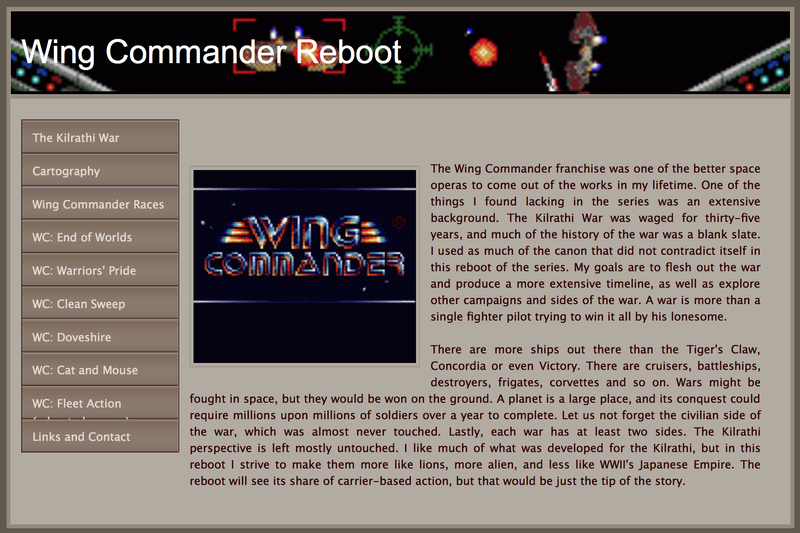 The Kiat has put together a compact Weebly page about Wing Commander. He's collected various universe history sources and fan fiction stories in one easily accessible place with the goal of fleshing out the universe's backstory. 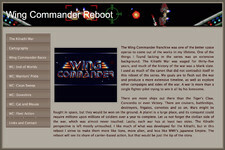 In the '90s there were hundreds of similar homemade websites dedicated to Wing Commander. Way back in 1996, maintaining a section of links to the world of Wing Commander on the web use to be a staffer's full time job! However, building a small hobby site hasn't been in style for quite a while. As that's how most of us got our start, we find webpages like this very charming. You can visit WC 'Reboot' for yourself here. My goals are to flesh out the war and produce a more extensive timeline, as well as explore other campaigns and sides of the war. 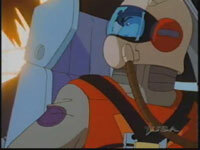 A war is more than a single fighter pilot trying to win it all by his lonesome. 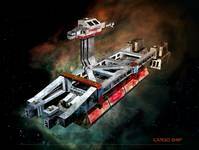 There are more ships out there than the Tiger's Claw, Concordia or even Victory. There are cruisers, battleships, destroyers, frigates, corvettes and so on. Wars might be fought in space, but they would be won on the ground. A planet is a large place, and its conquest could require millions upon millions of soldiers over a year to complete. Let us not forget the civilian side of the war, which was almost never touched. Lastly, each war has at least two sides. The Kilrathi perspective is left mostly untouched. I like much of what was developed for the Kilrathi, but in this reboot I strive to make them more like lions, more alien, and less like WWII's Japanese Empire. The reboot will see its share of carrier-based action, but that would be just the tip of the story. 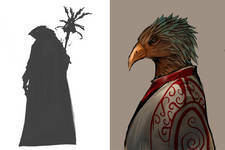 It’s now possible to commission an authentic Origin style art piece for your own projects! Famous character, concept and cover artist Denis Loubet is now taking requests to create your RPG characters or other designs for a nominal fee. Denis is the link that connected Chris Roberts to Origin Systems in the late 1980s. 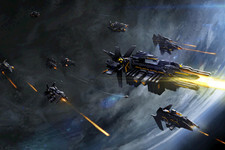 Chris had been working with a freelance Denis for concept art on a new game when he was just getting started in Austin. Denis then went to work for Richard Garriott full time at OSI and Chris followed soon after - the rest is history! Last but not least, Mr. Loubet has offered to answer questions Wing Commander fans may have about art or his time at Origin. Email us or hit the Discuss link below with anything you might be curious about. We'll collect your questions for Q&A session in the future. Also check out Denis' website for sample art galleries and updates on his latest endeavors. Denis Loubet, Origin's senior artist at the time, did the cover art, cockpit art and cinematic backgrounds for Wing Commander I and additional items for Wing Commander II, Super Wing Commander and Armada. 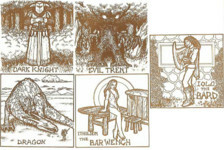 He was with the Ultima series, far longer: he was originally hired to do the cover and startup screen graphics for Ultima I way back in 1980 and contributed all the way through Ultima Online in the early 2000s! You've seen the roundup of last year, now what do you think about the future? Our annual gauge of people's predictions starts now. We know that all of you coming together to do great things will make this an outstanding year! The old poll asked about your ejection habits. 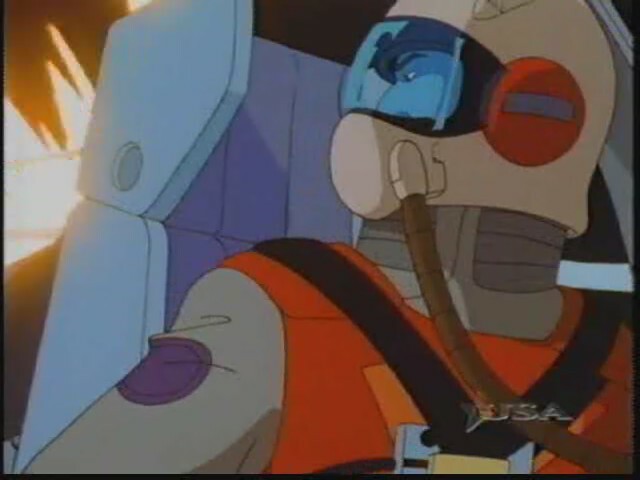 It was an extremely close race between pilots who (claim to) never eject and those who did so just once to earn their Golden Sun medal in the Vega Sector. Just about one in six players will admit to using the tactic regularly to see the games' losing paths.